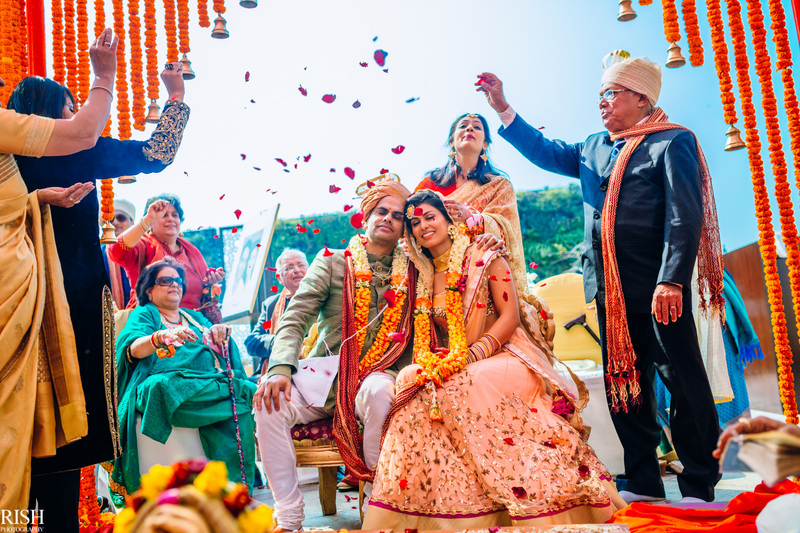 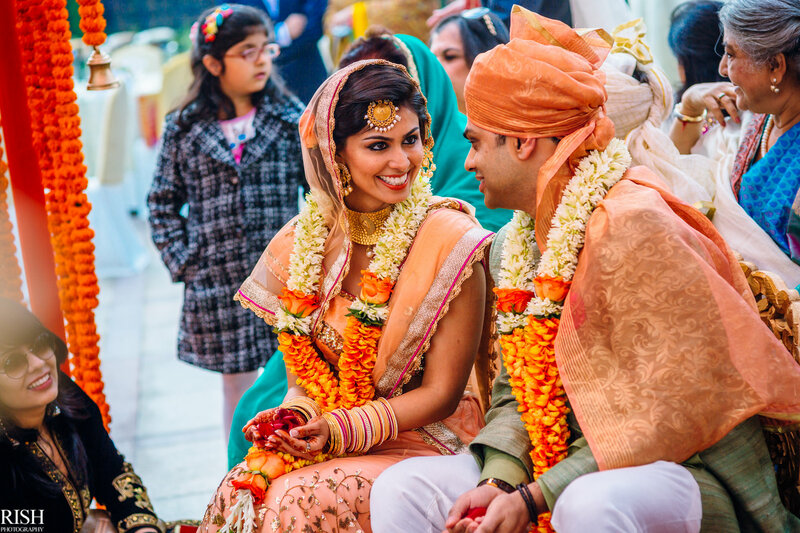 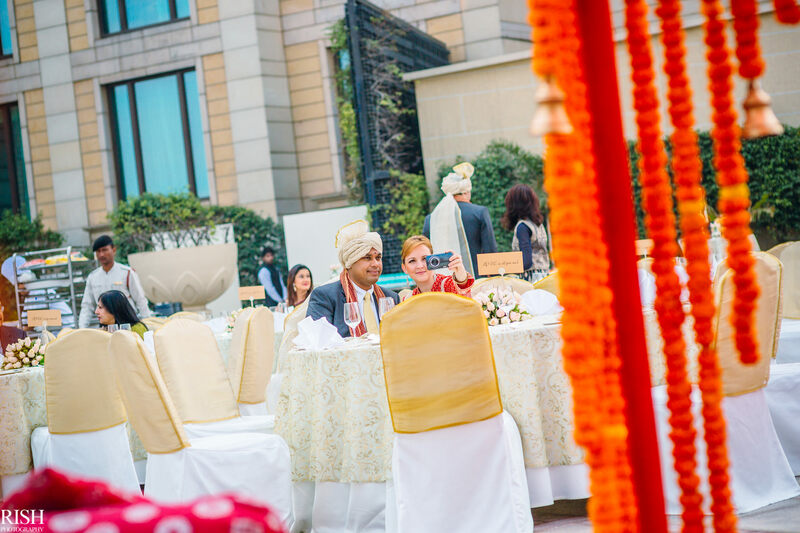 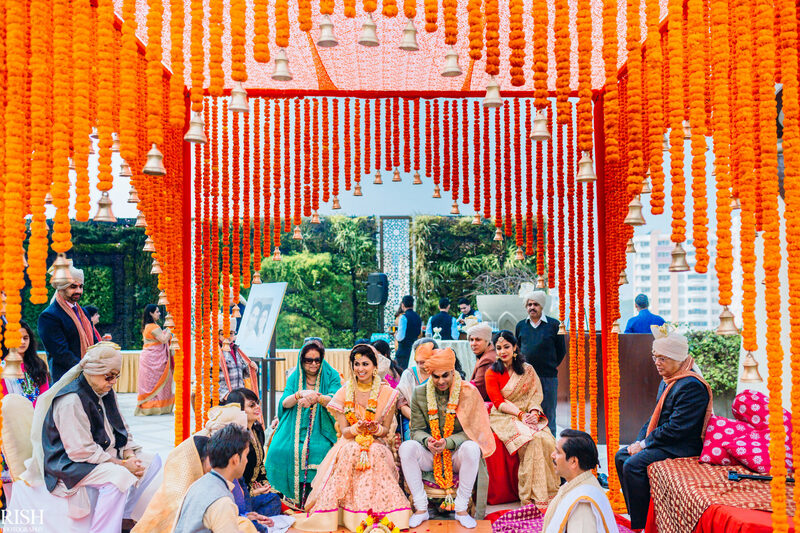 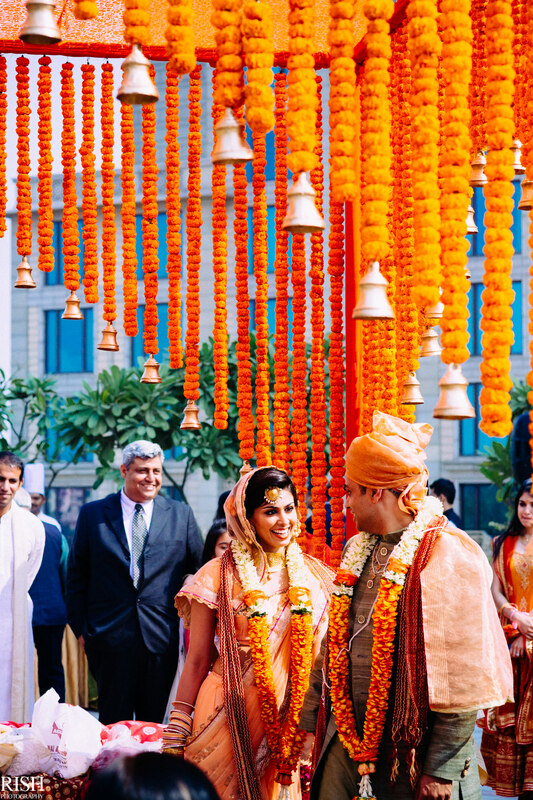 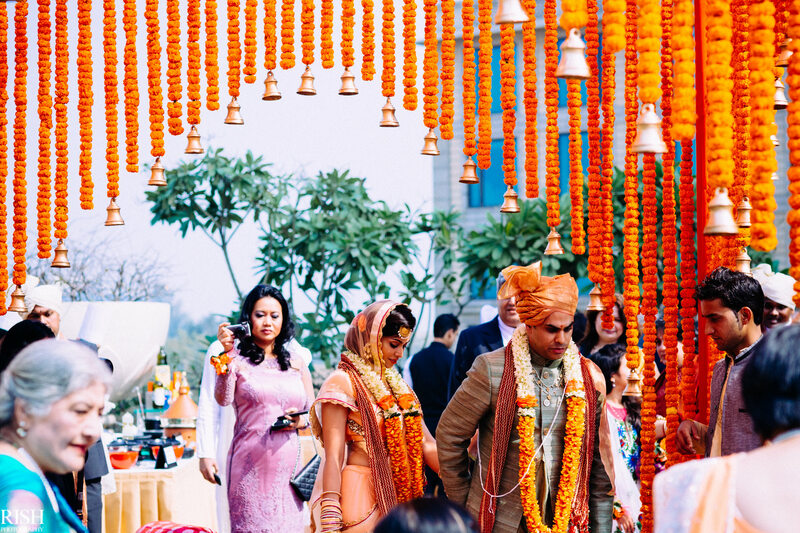 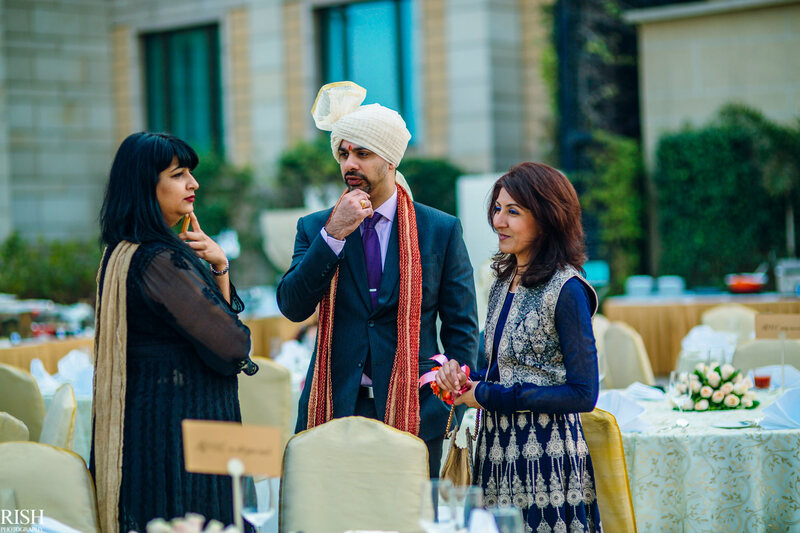 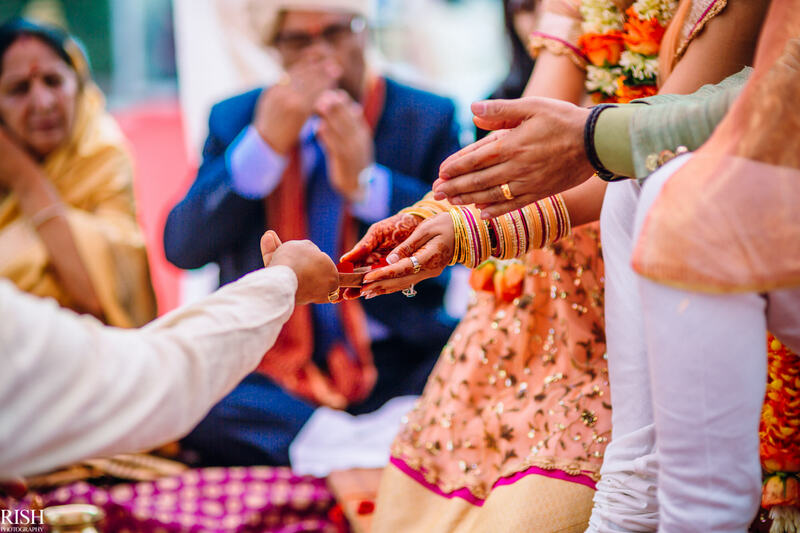 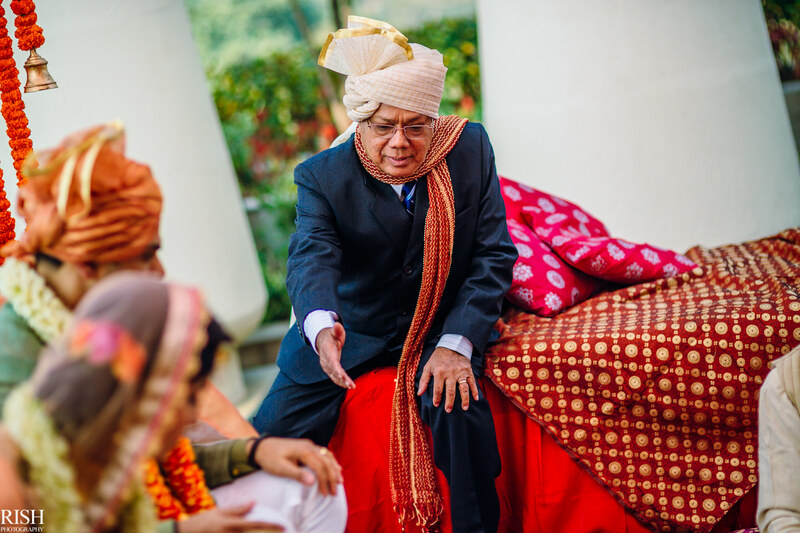 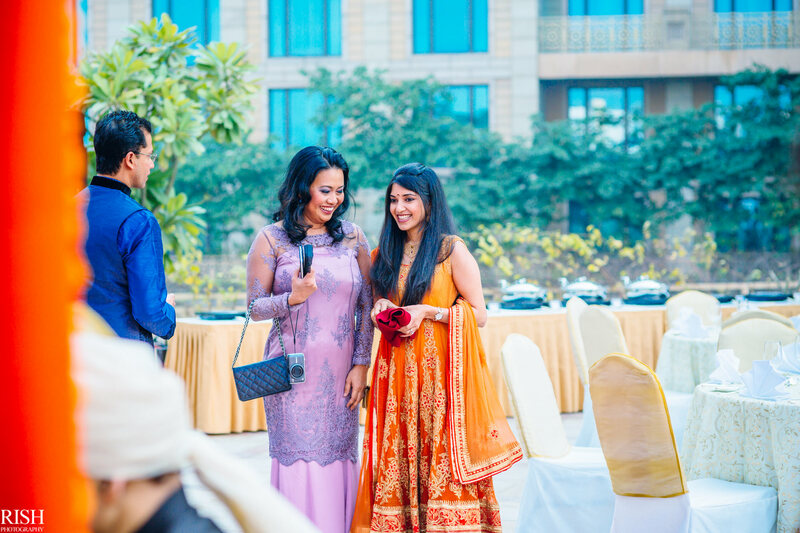 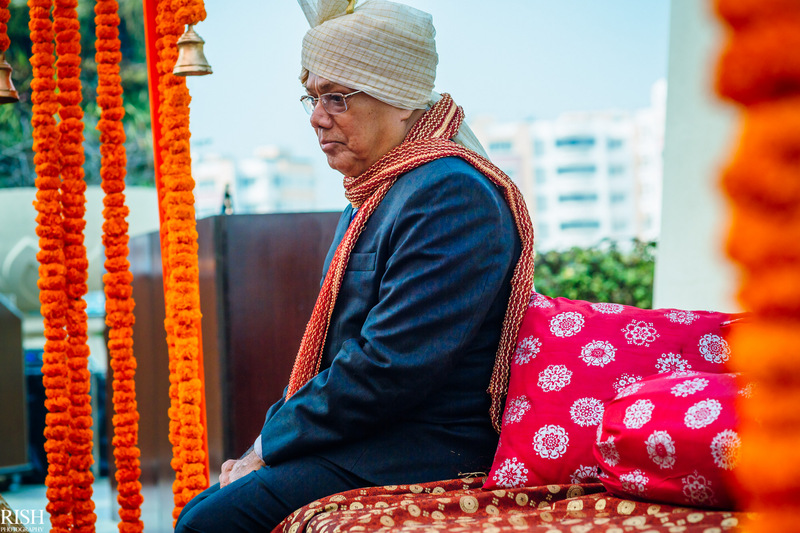 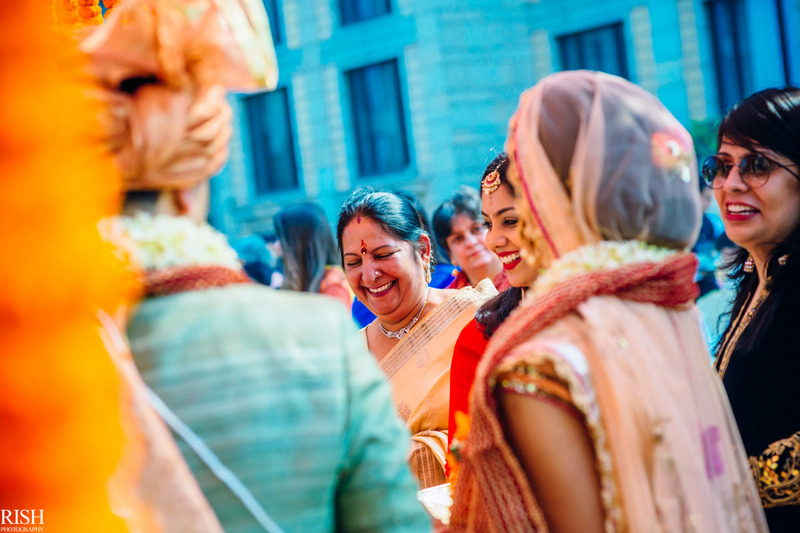 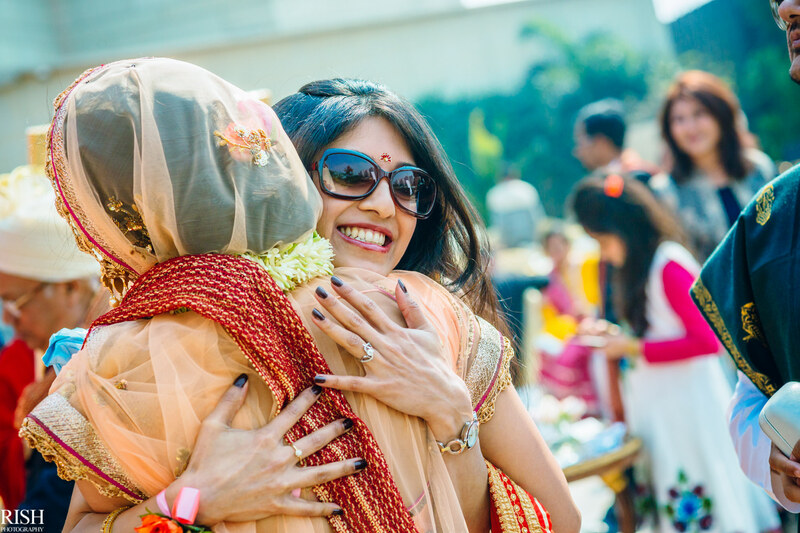 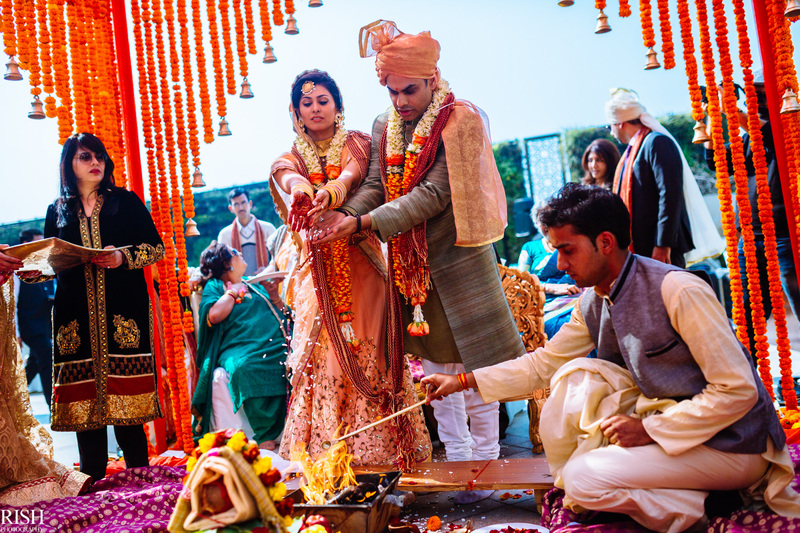 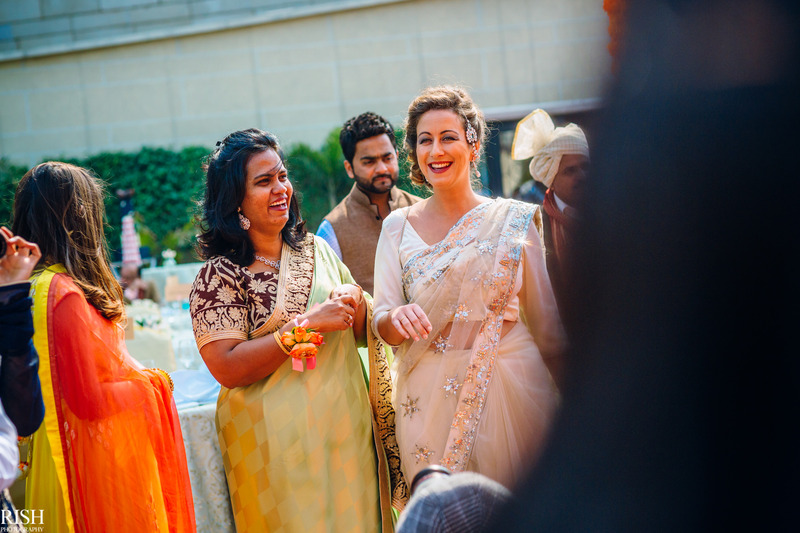 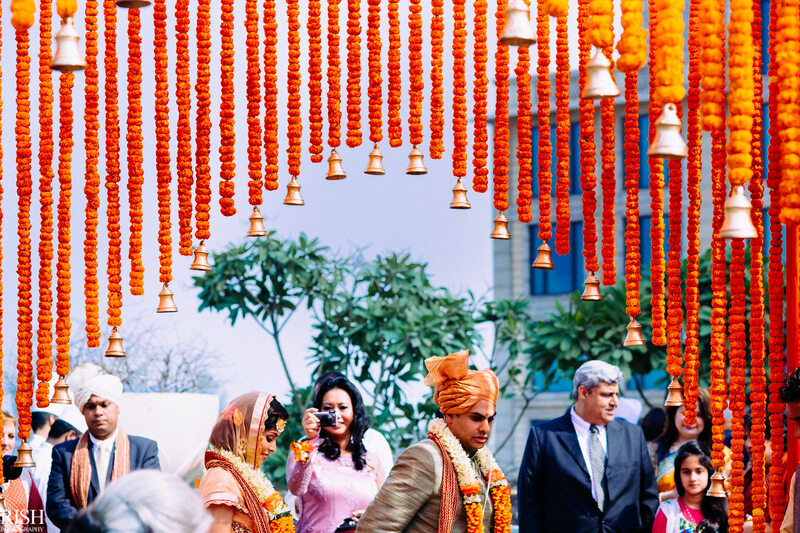 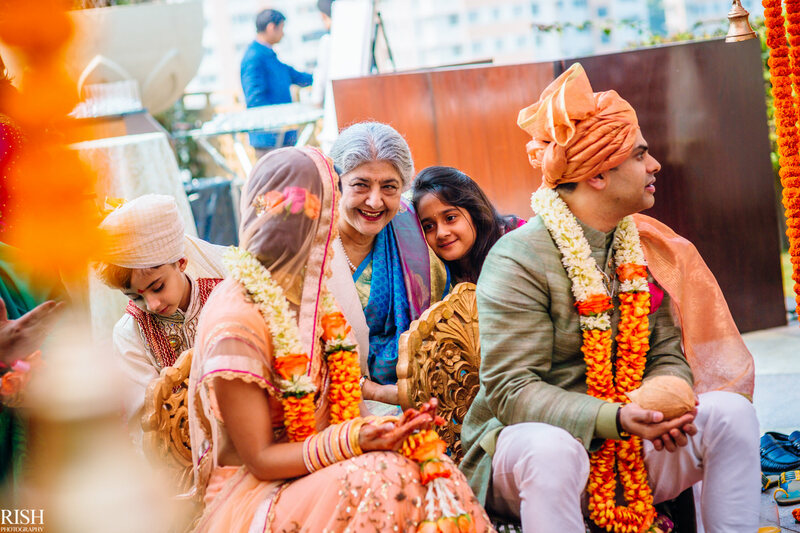 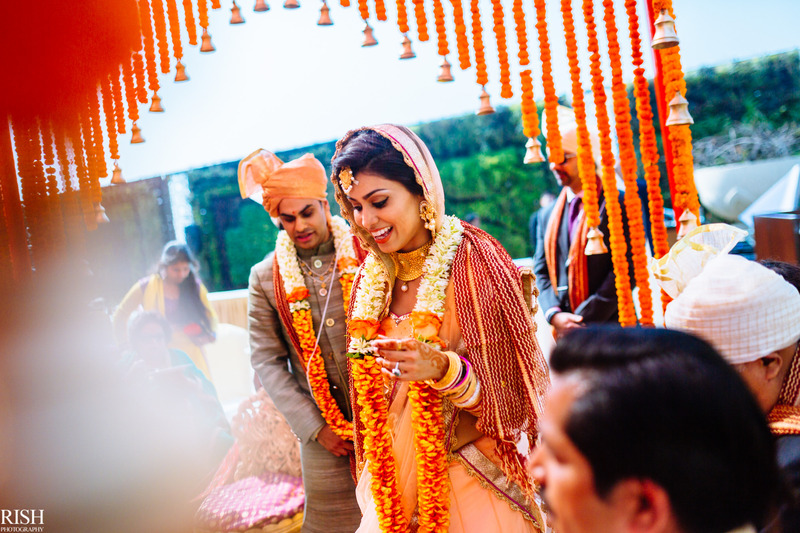 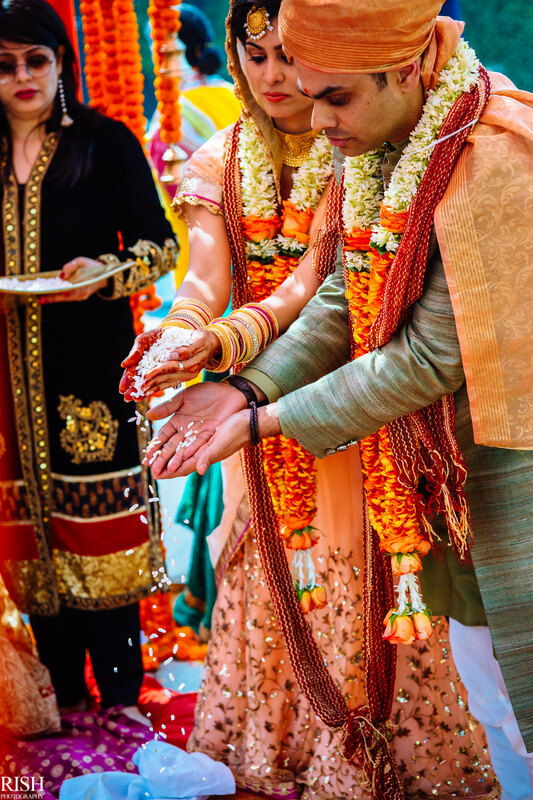 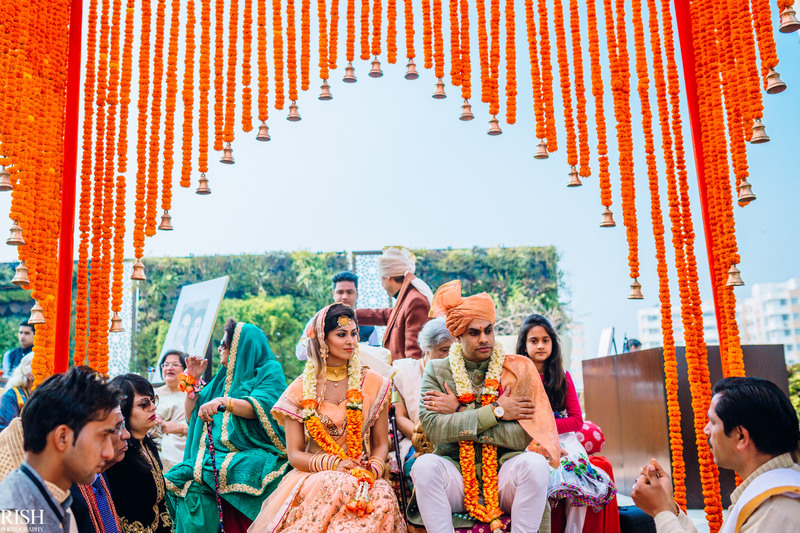 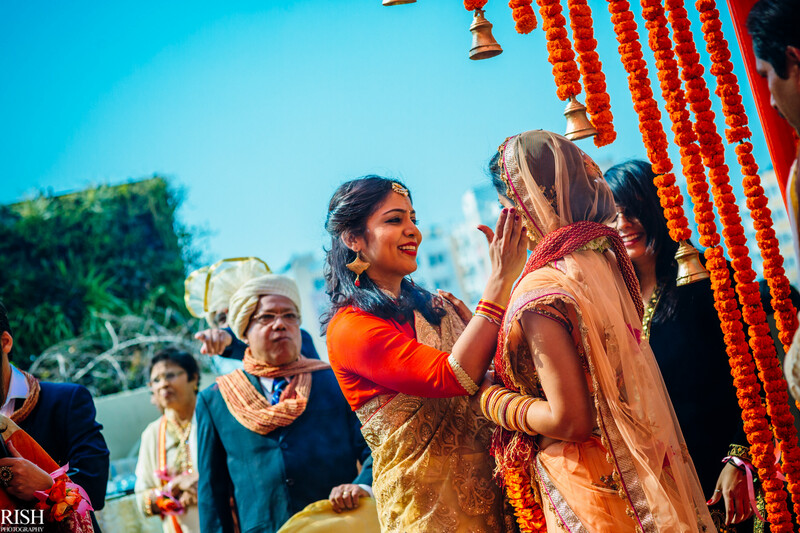 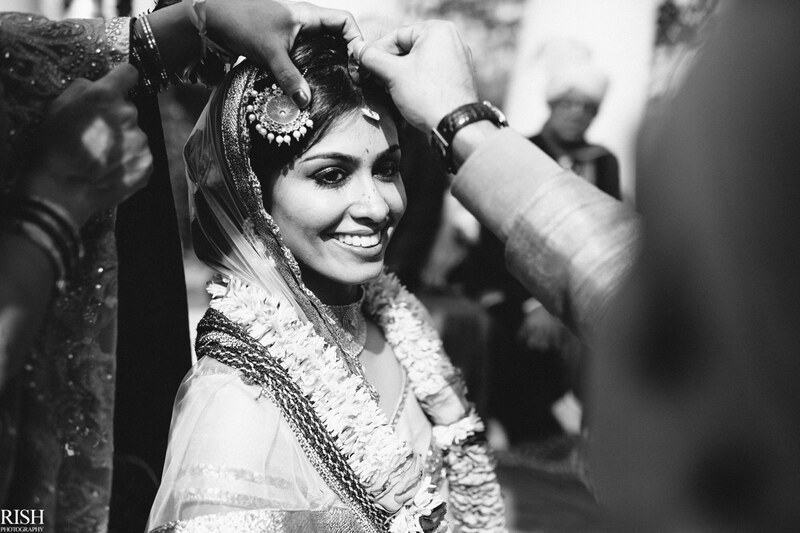 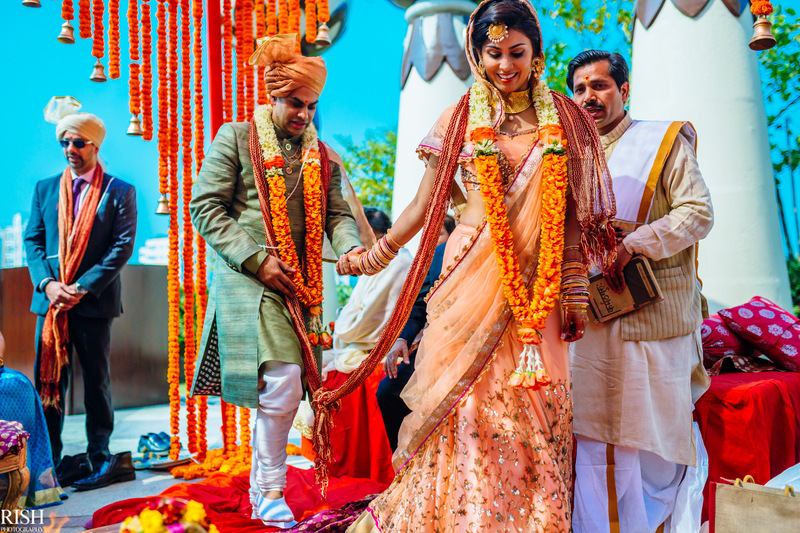 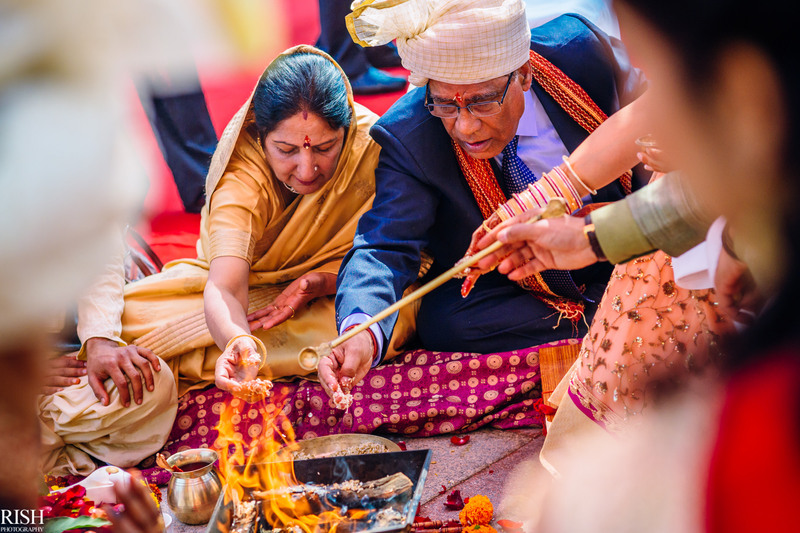 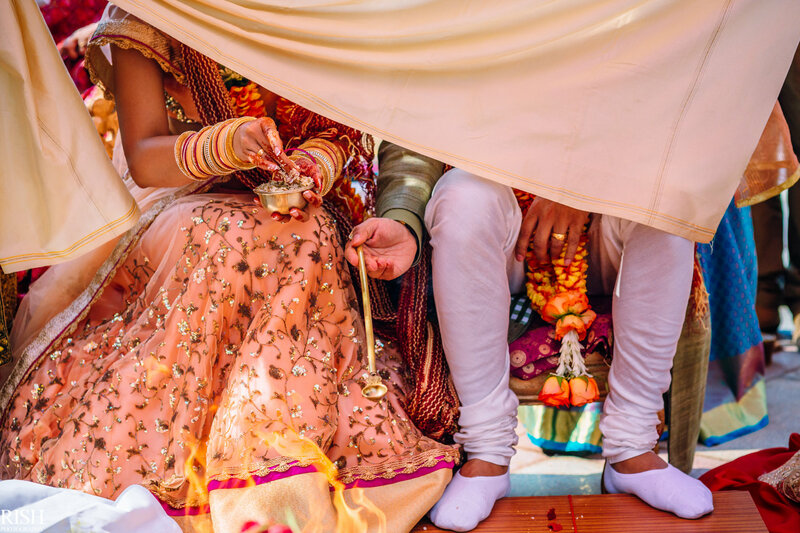 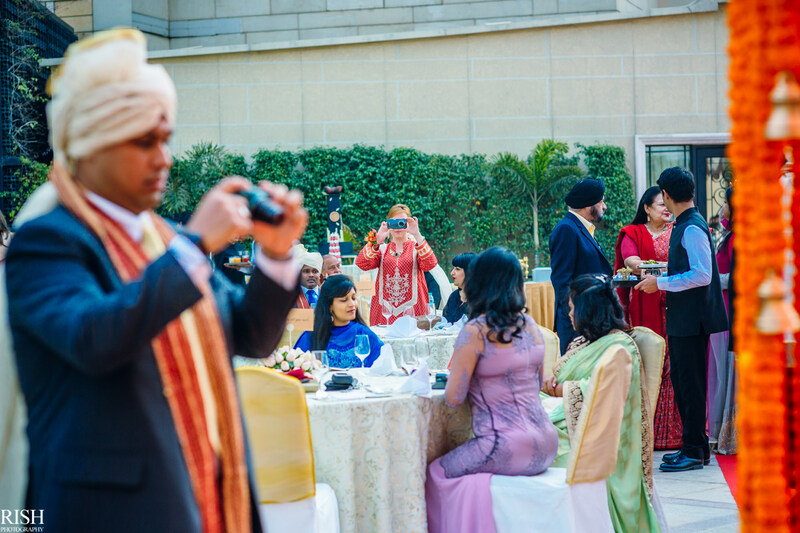 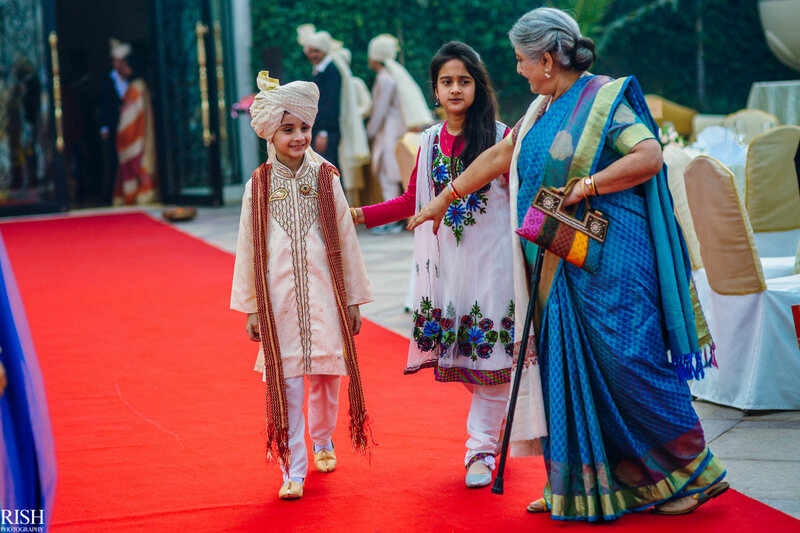 One fine day, a very well written email hit my inbox and a bride to be enquired about the possibility of me shooting her very special and intimate 2-hour rooftop wedding at the Leela Palace, New Delhi. 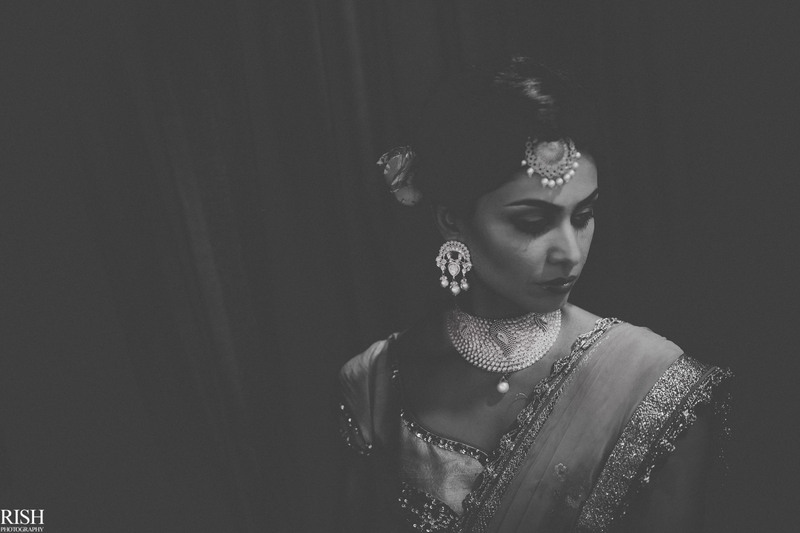 I instantly knew this was going to be worth it and she got a reply from me in 15 minutes. 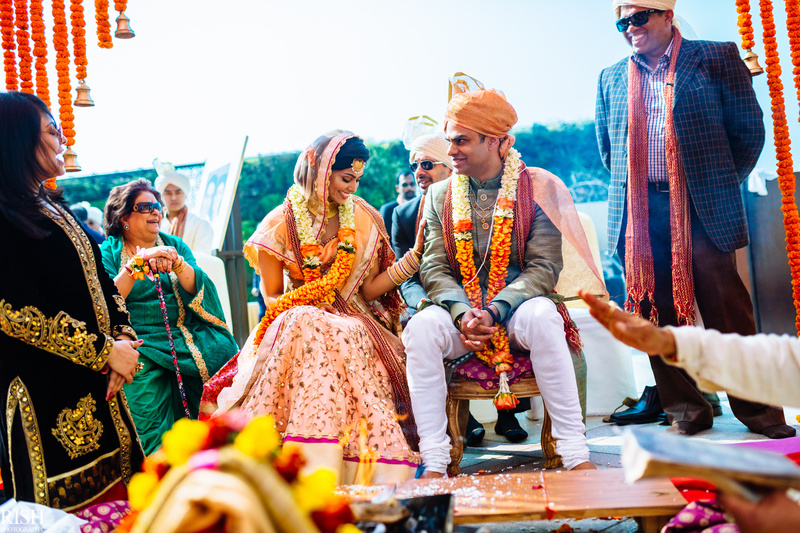 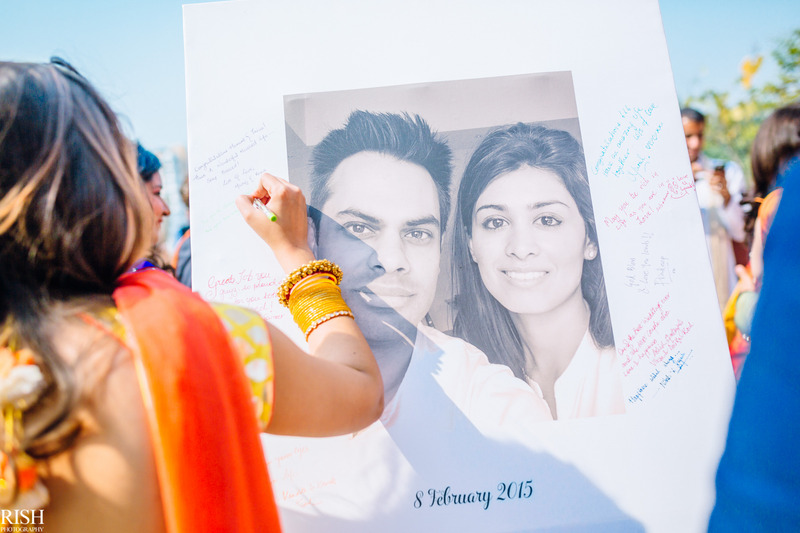 After couple of weeks of planning every single detail, it was indeed an affair to remember! 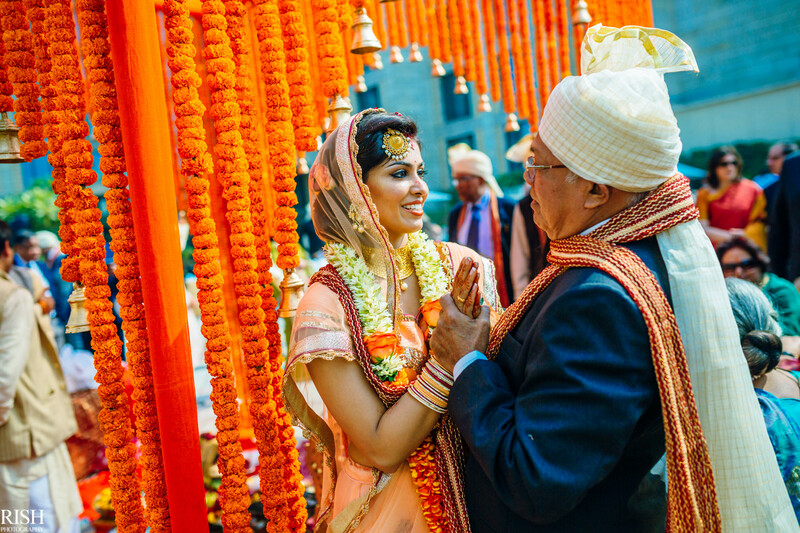 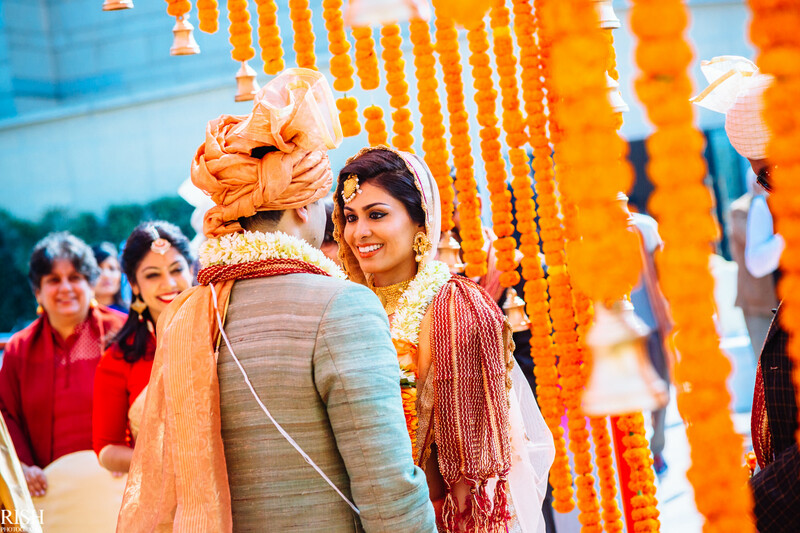 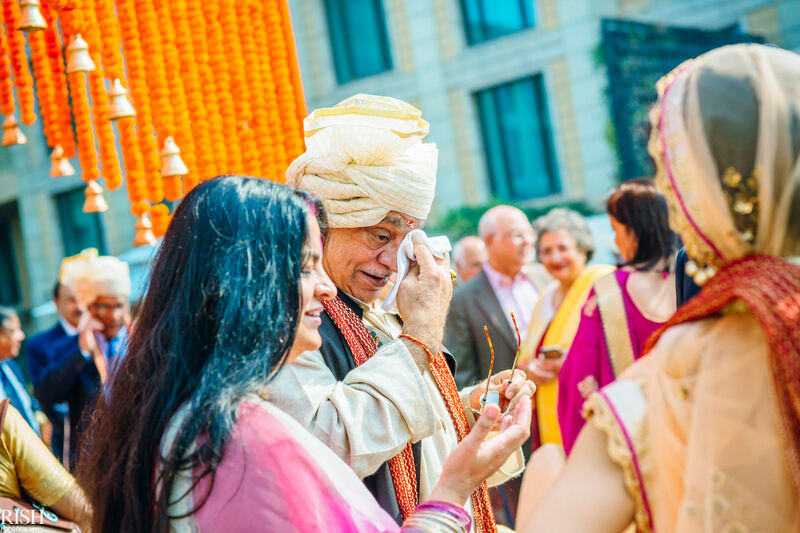 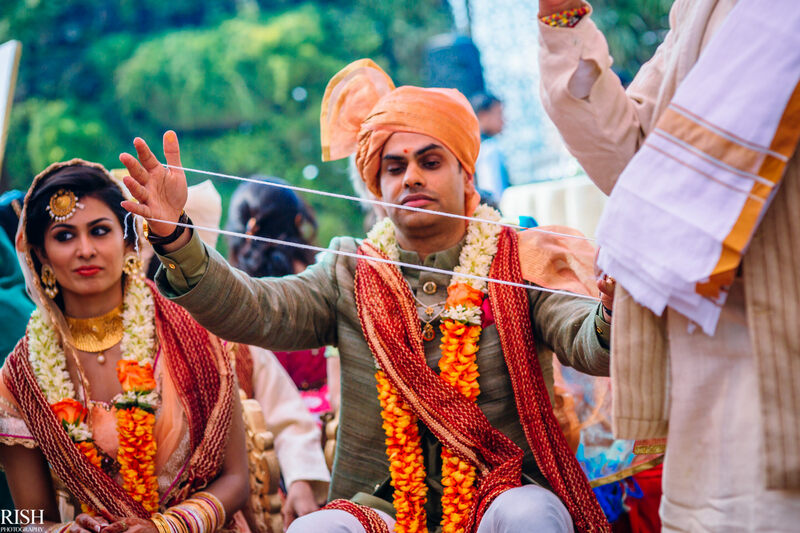 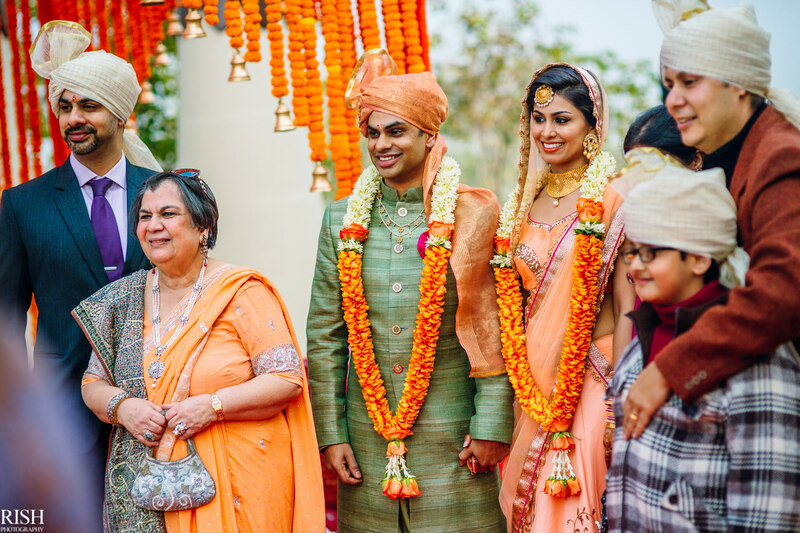 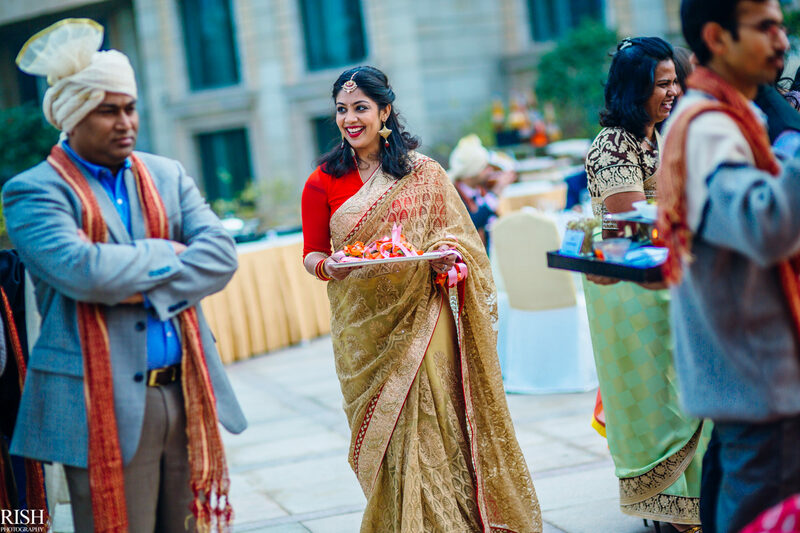 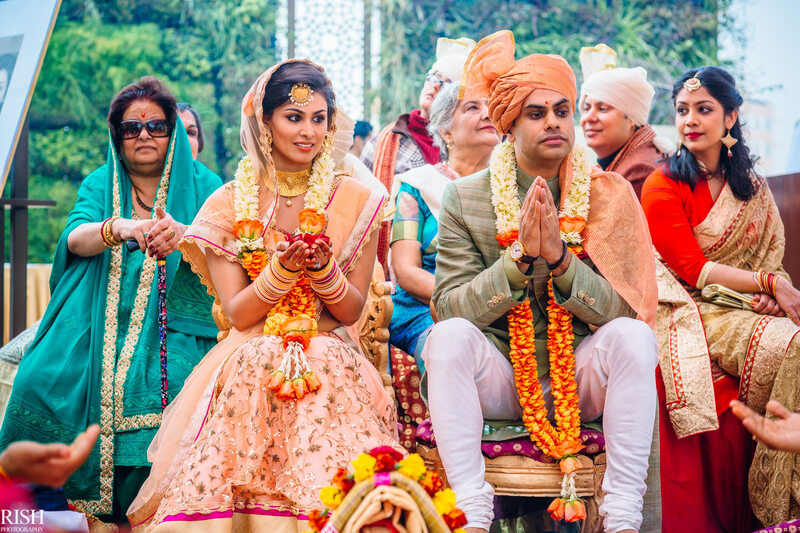 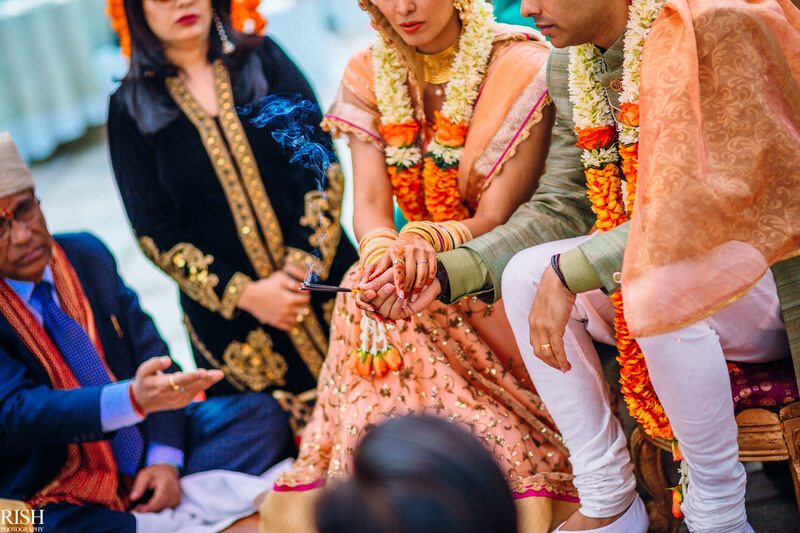 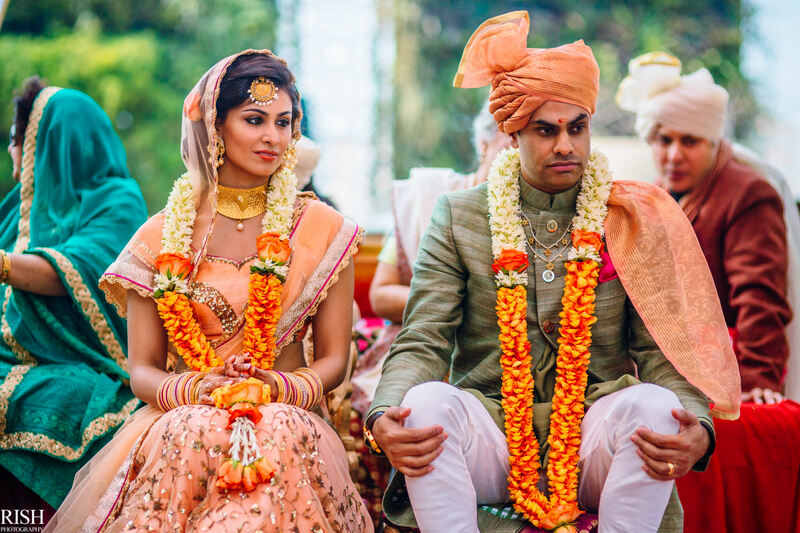 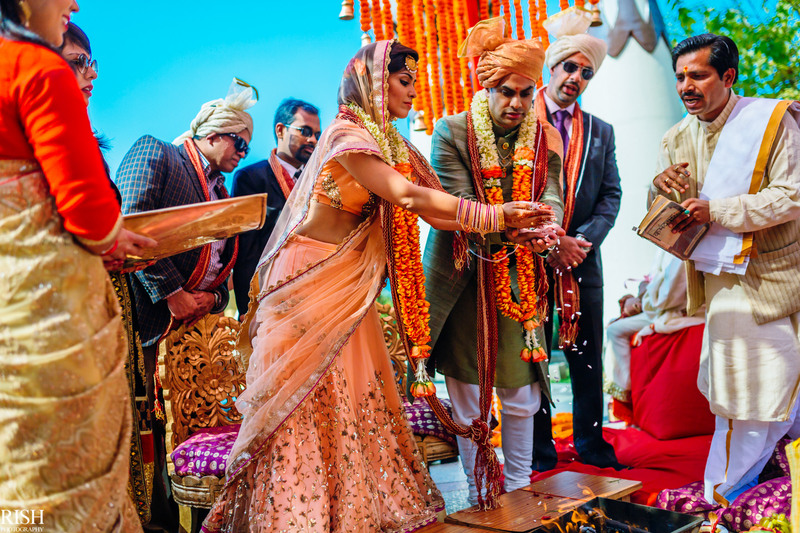 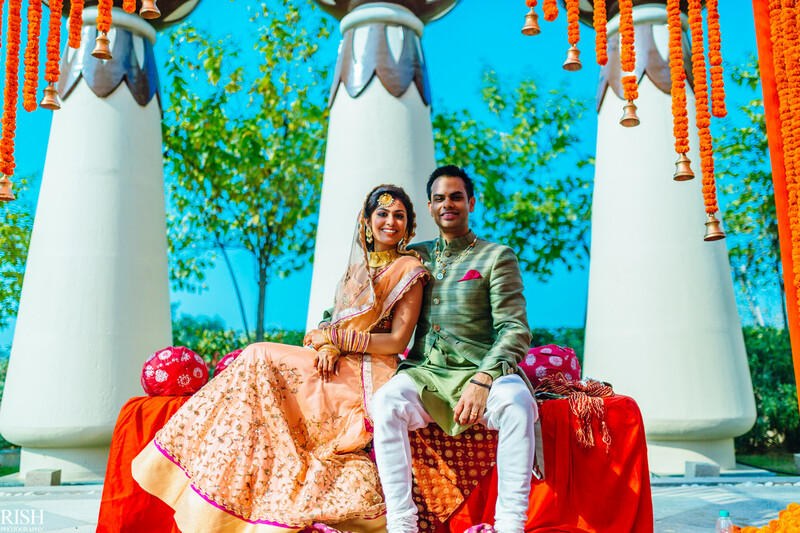 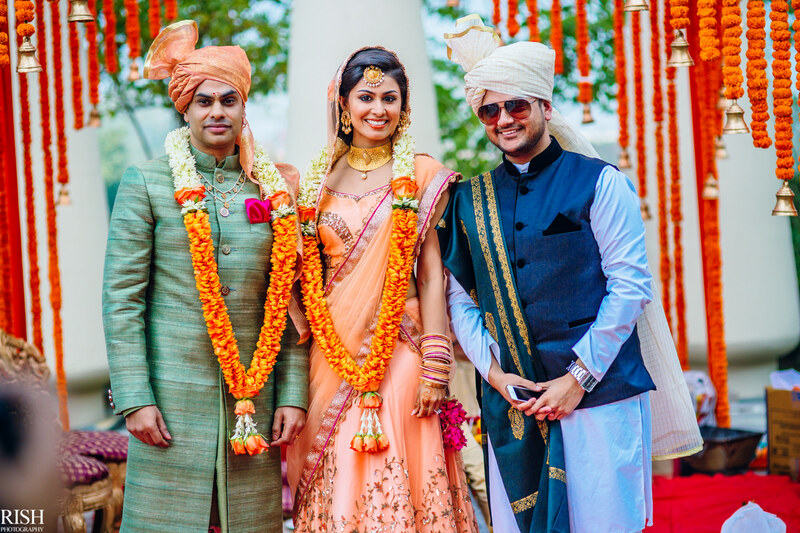 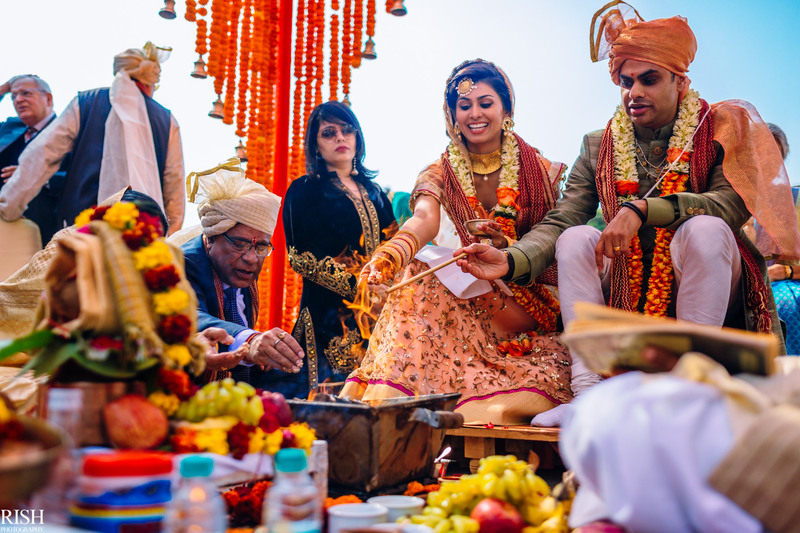 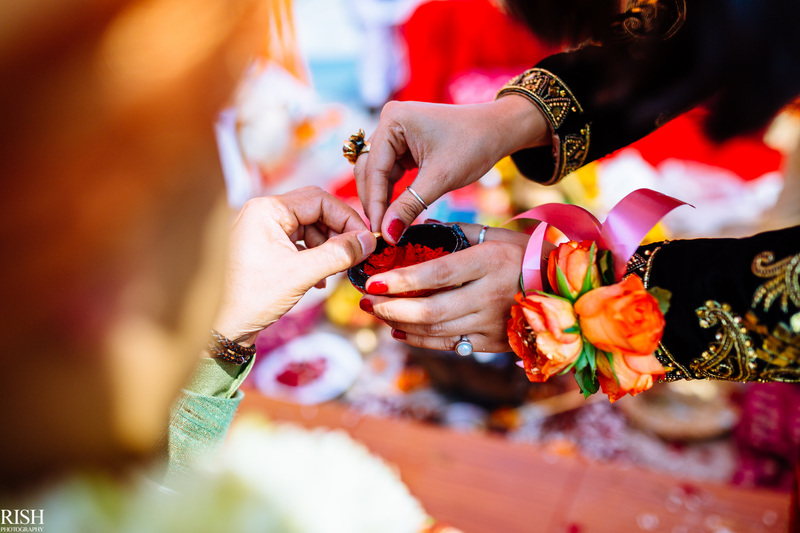 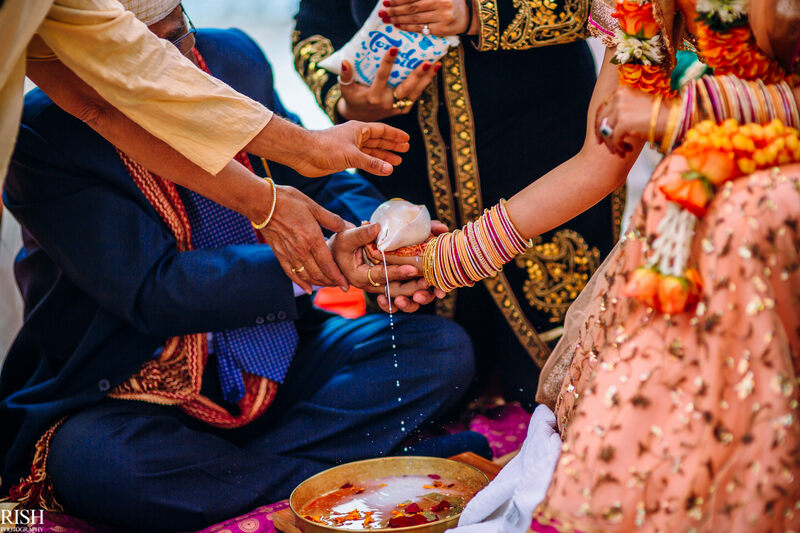 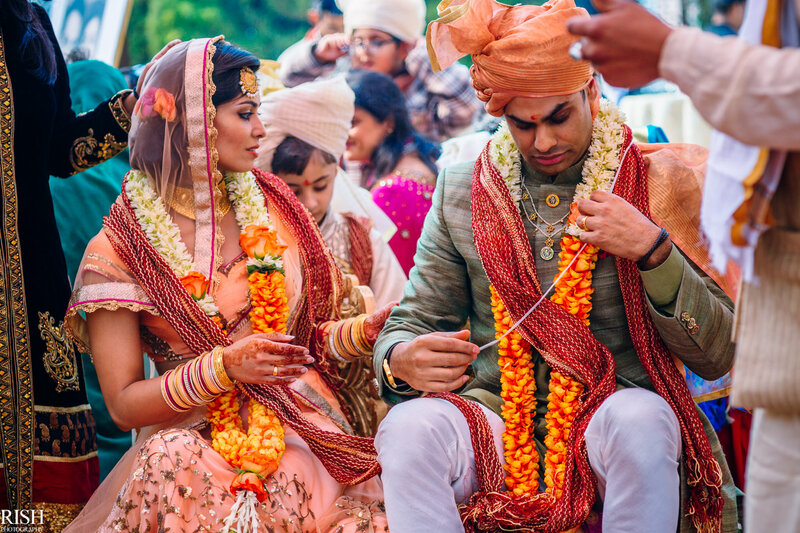 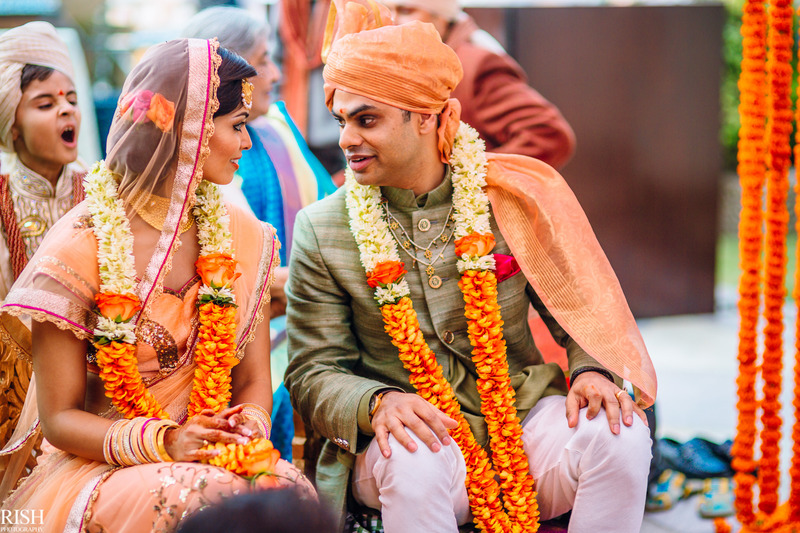 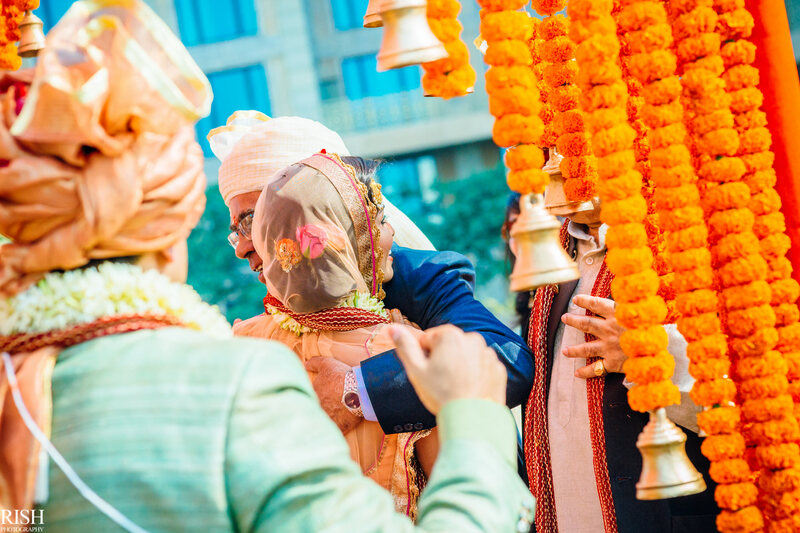 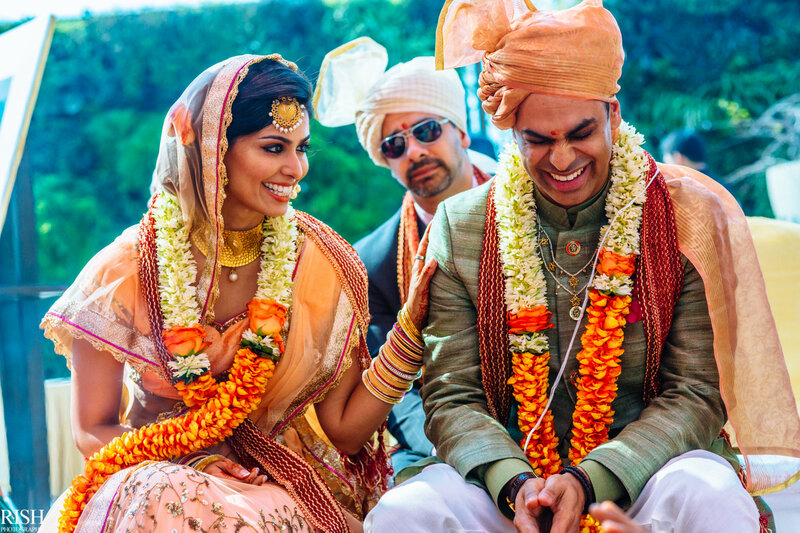 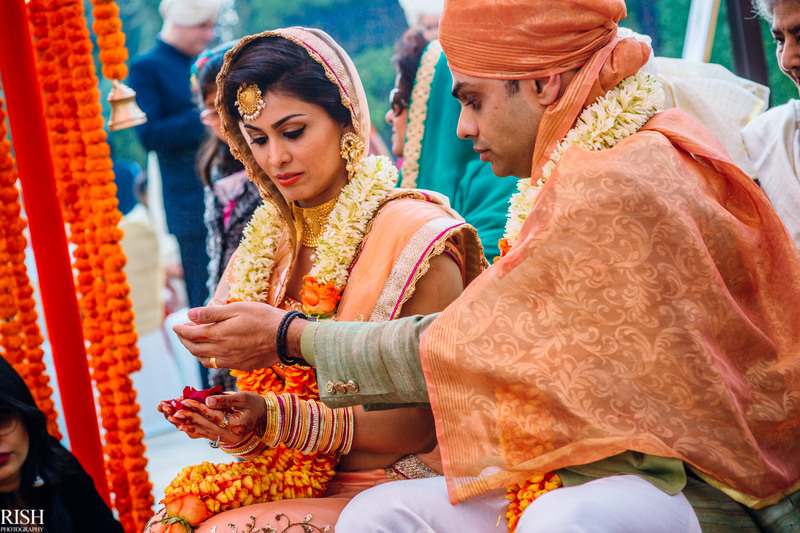 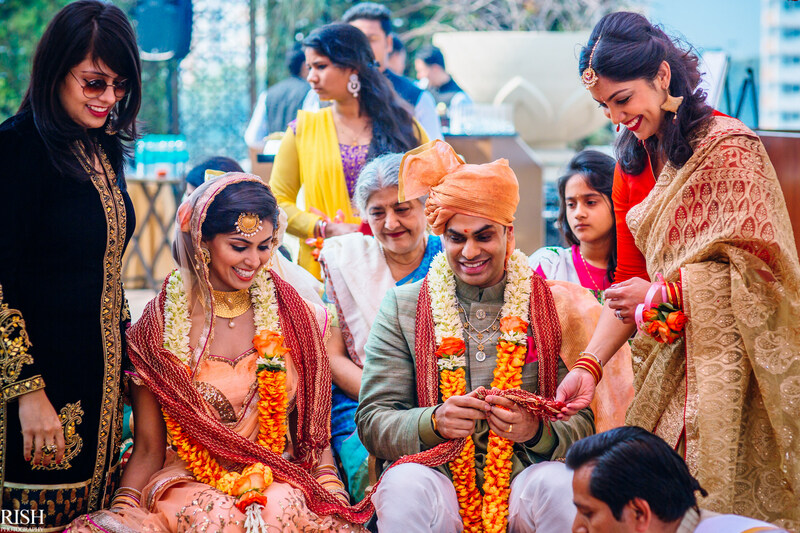 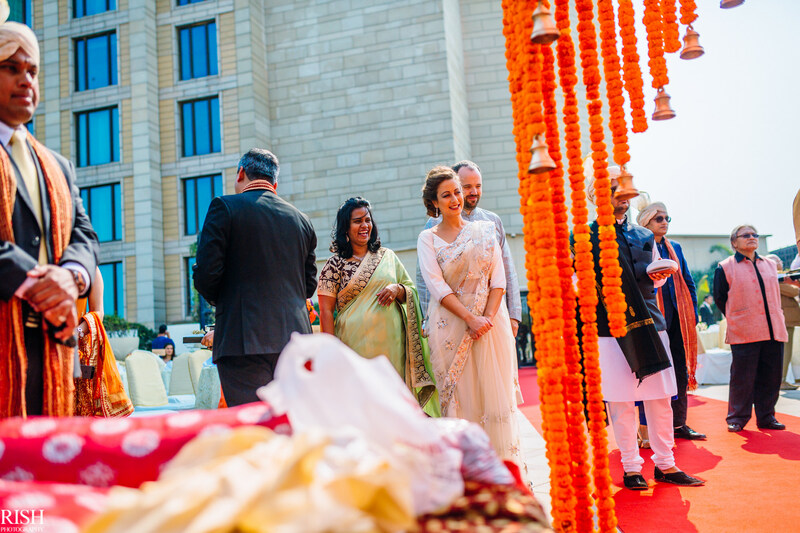 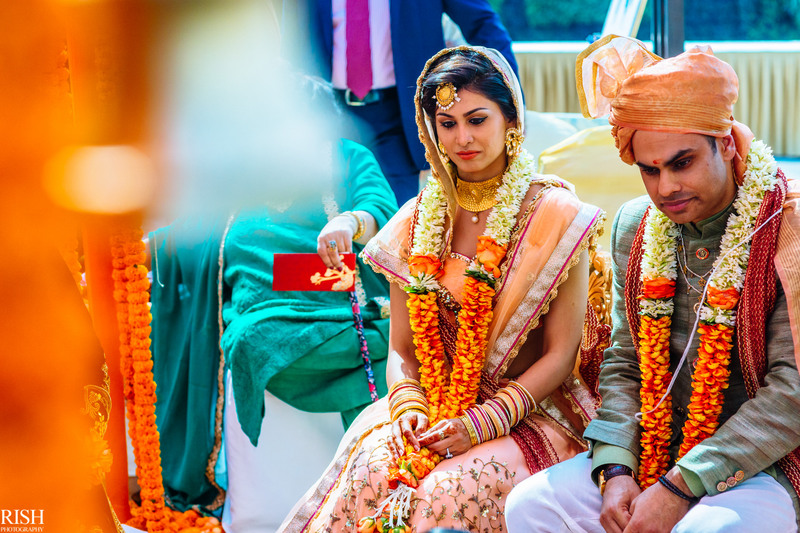 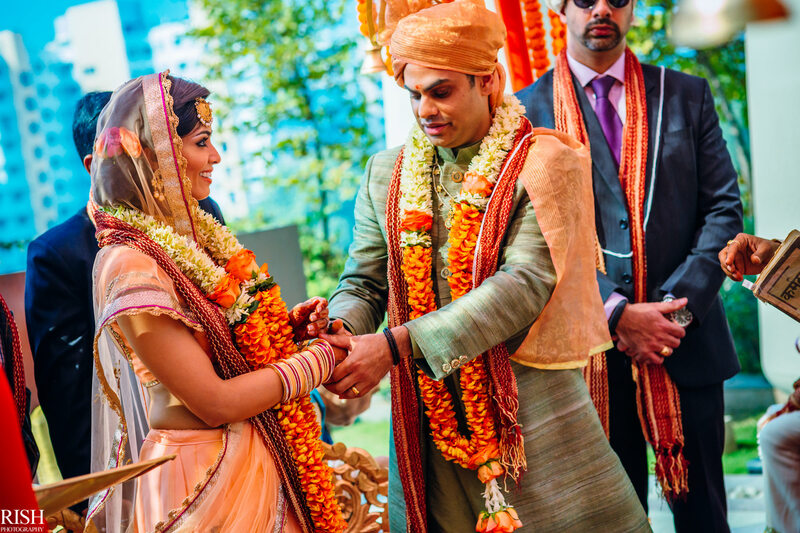 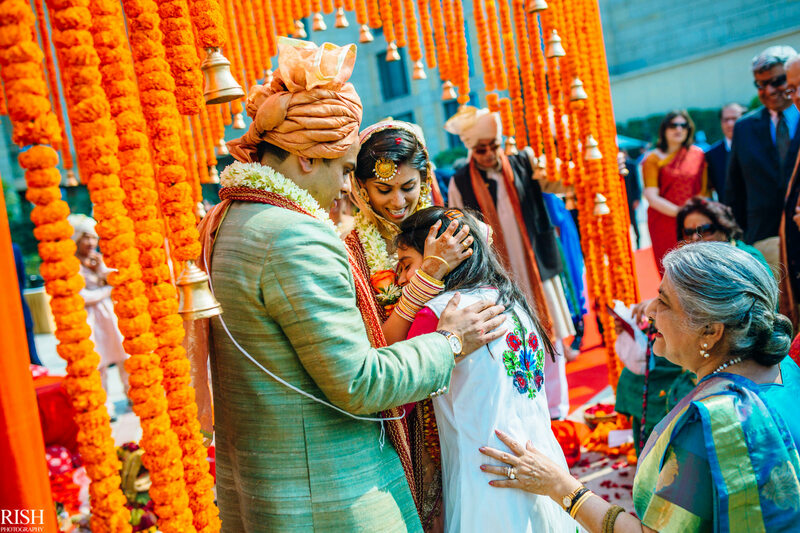 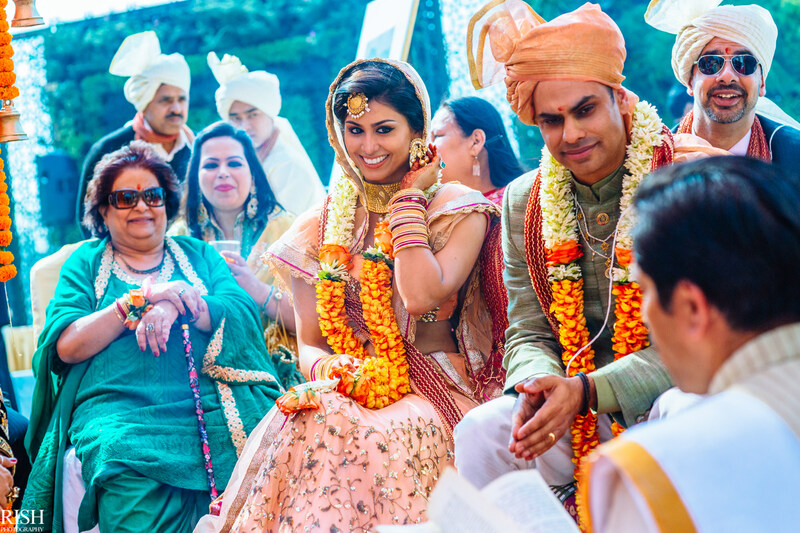 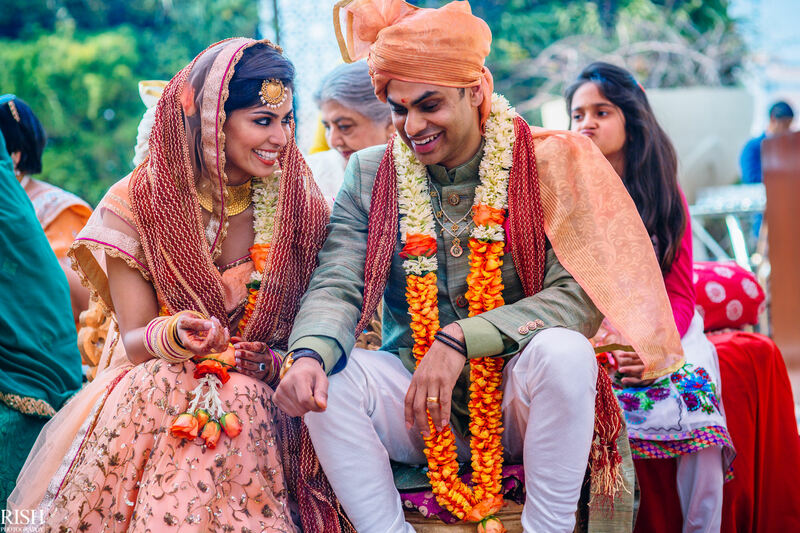 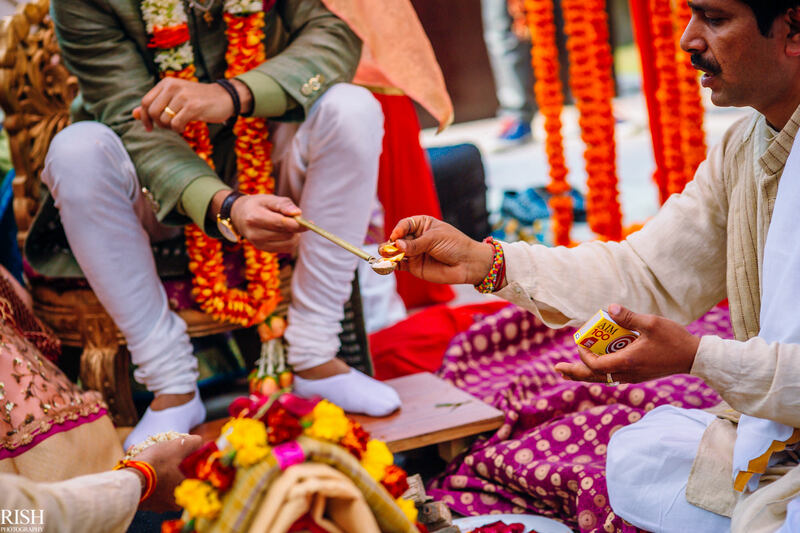 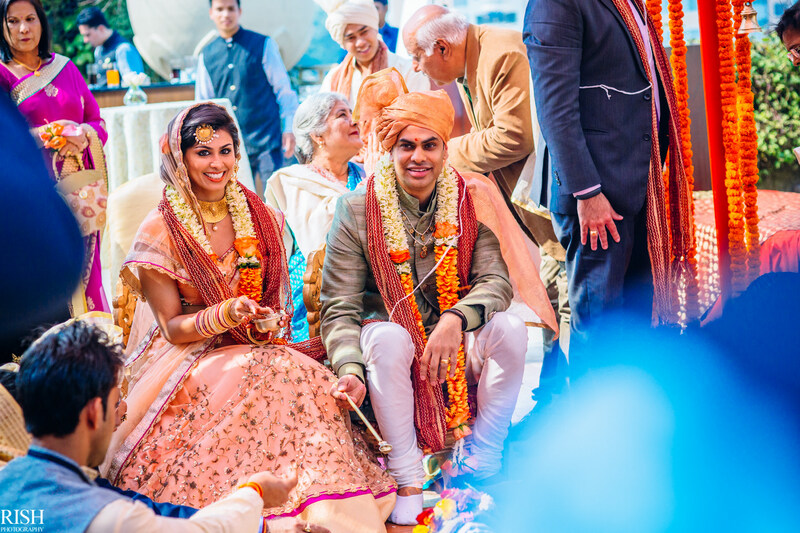 Tricia, a PR professional and a lady with a flair of attention to details tied the knot with Hemant who happens to fly planes to make a living. 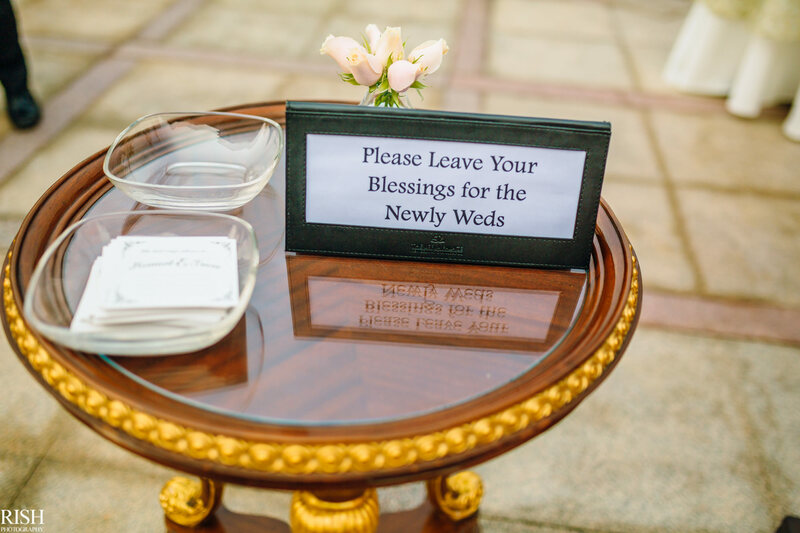 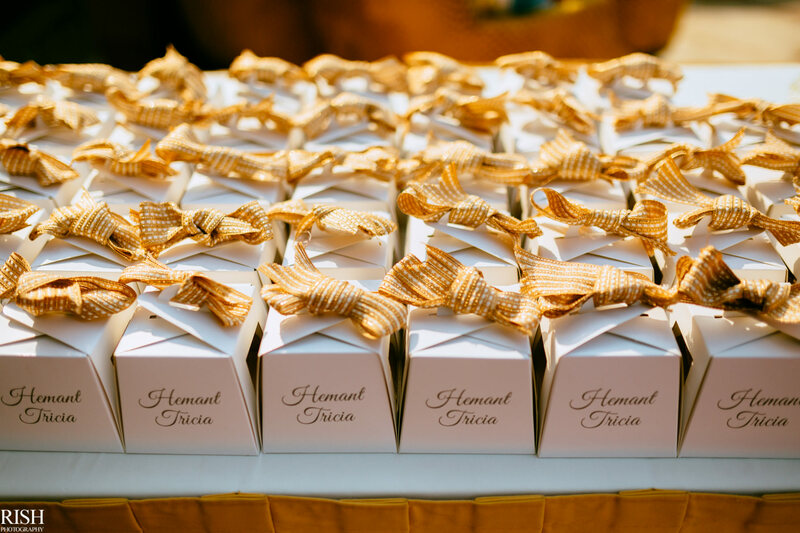 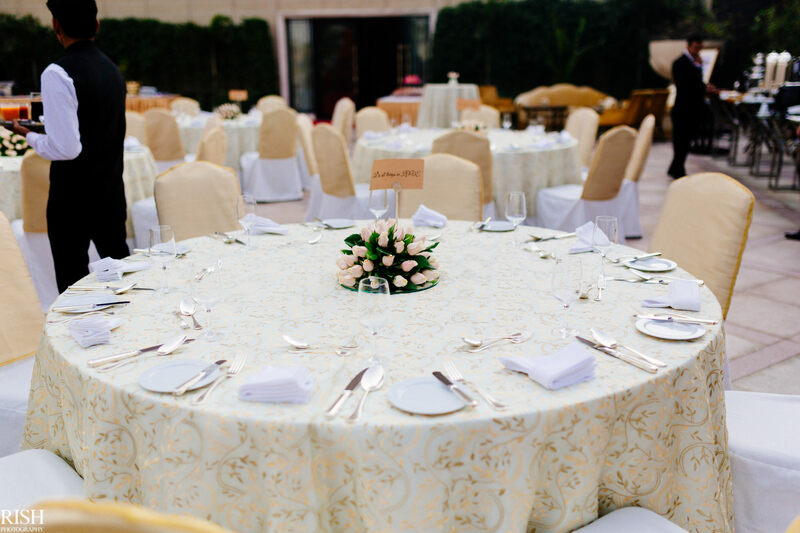 Right from their wedding card to decor, everything was a stunning blend of taste and elegance. 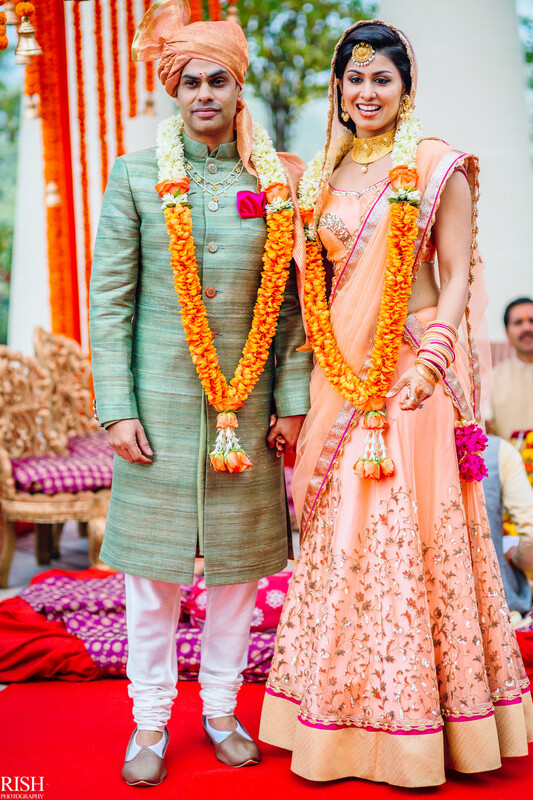 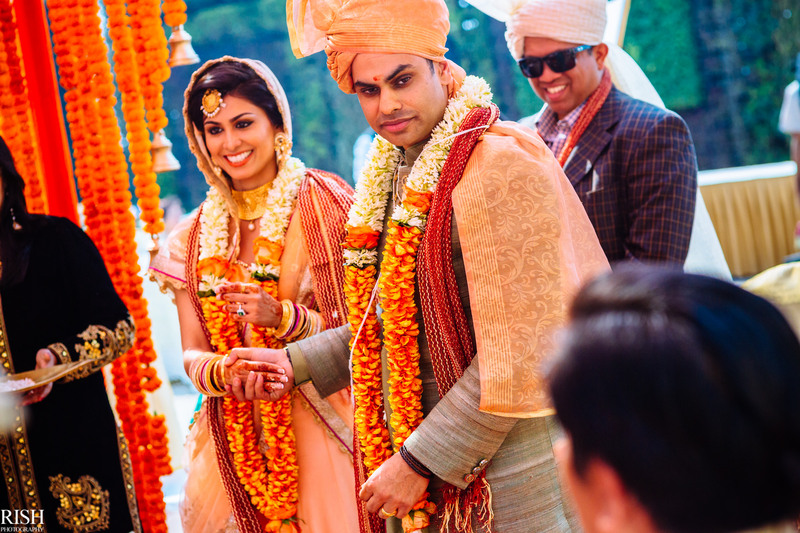 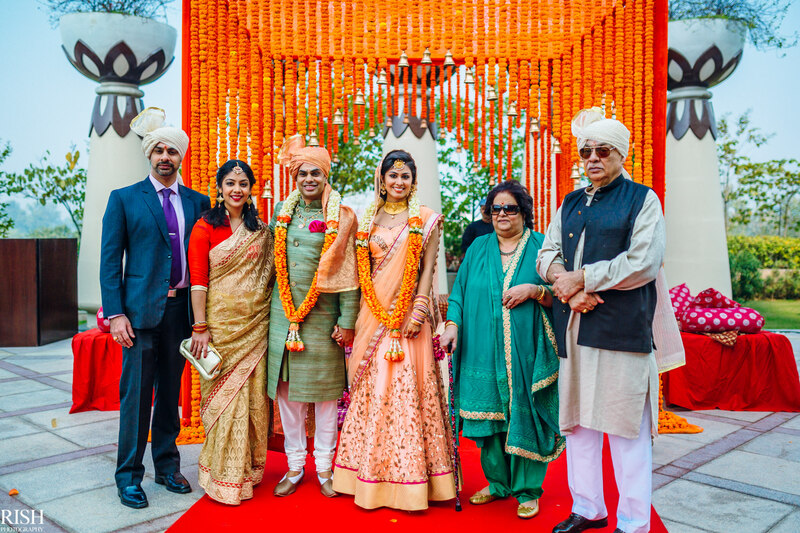 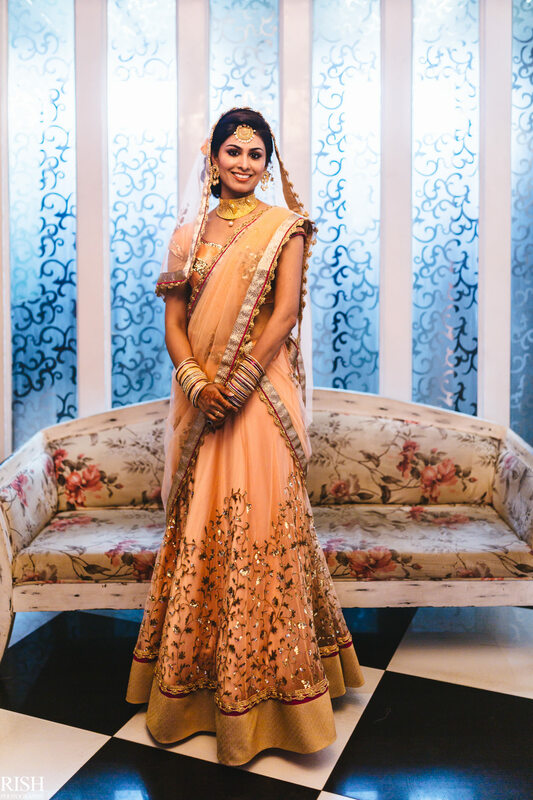 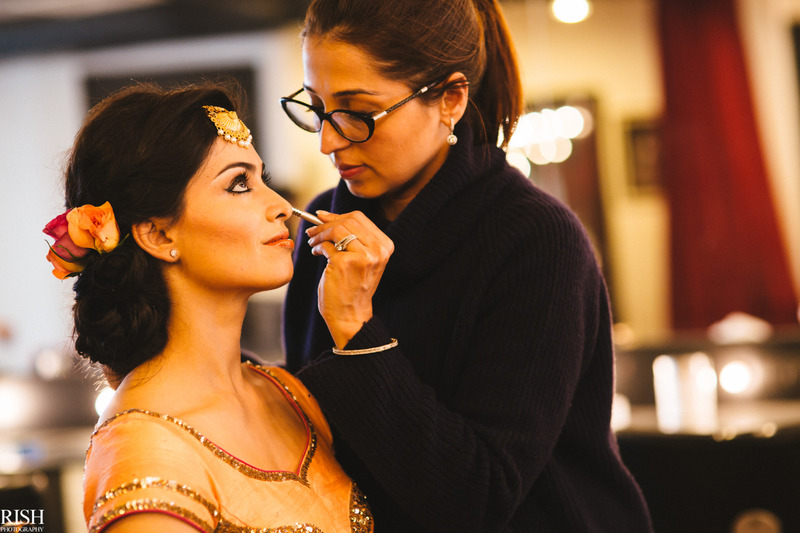 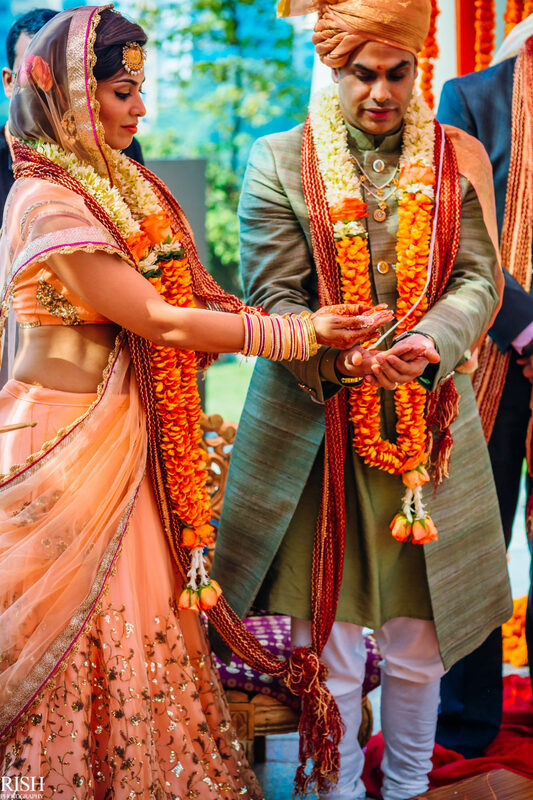 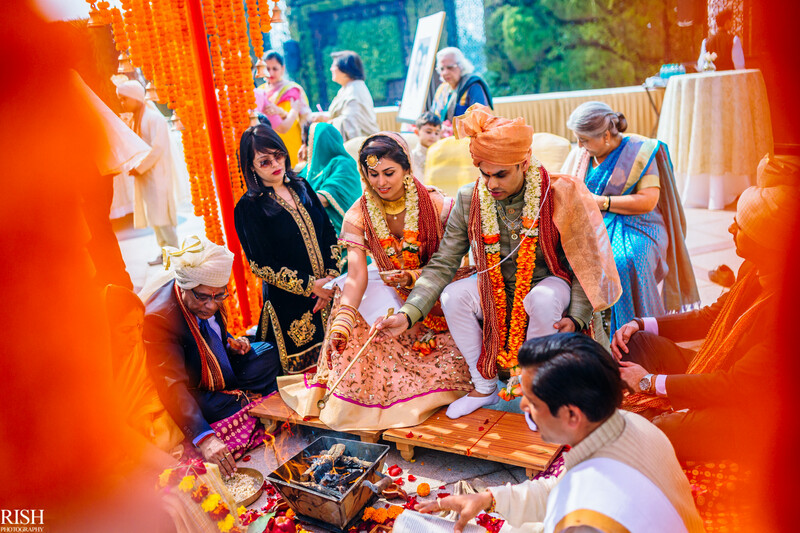 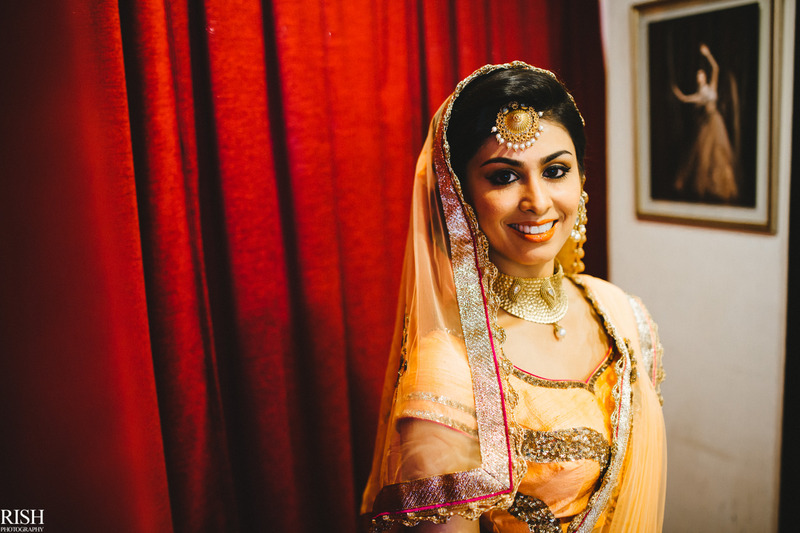 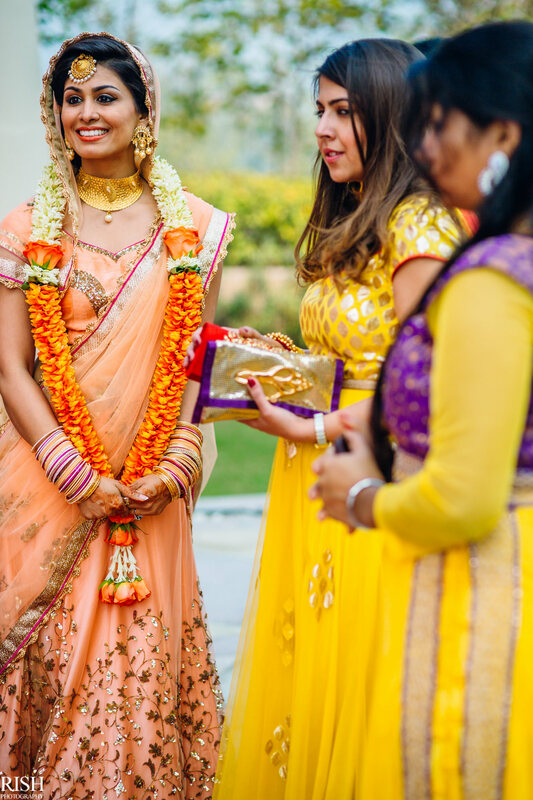 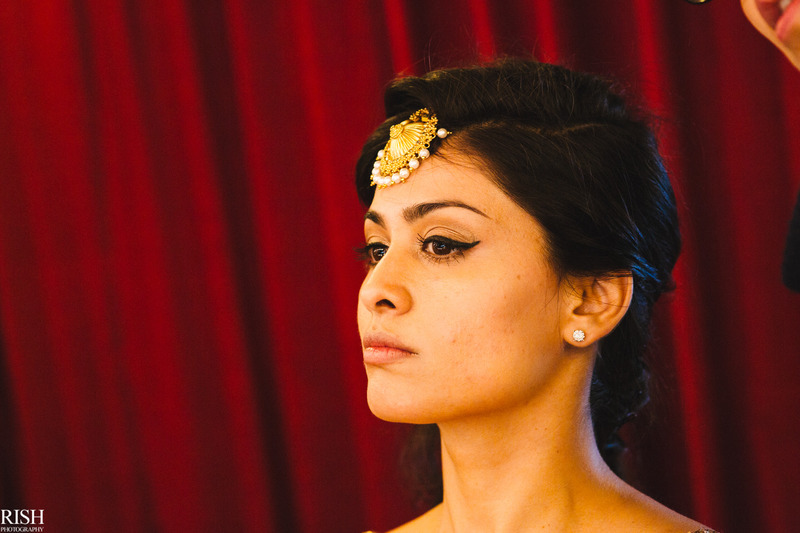 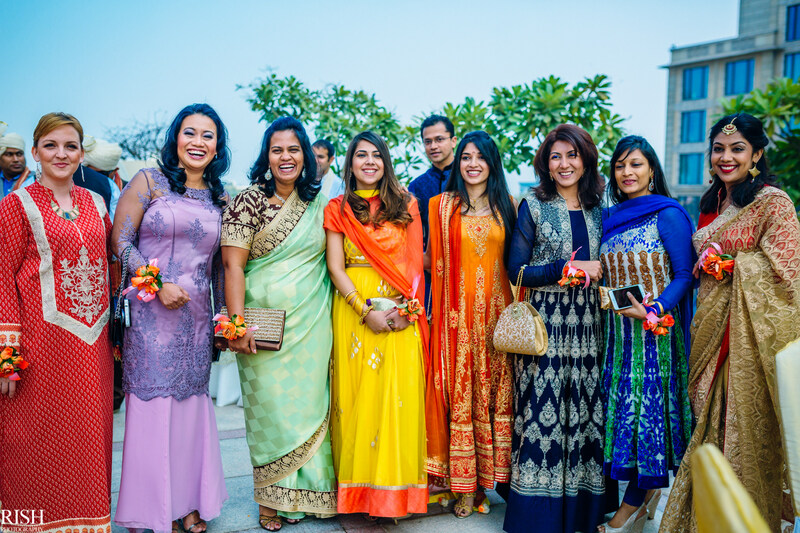 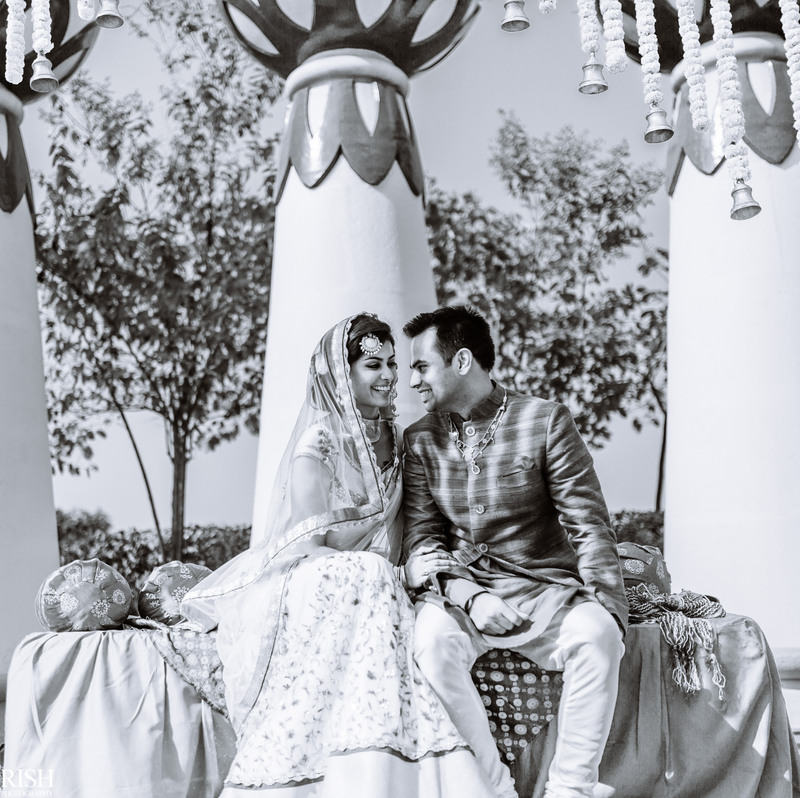 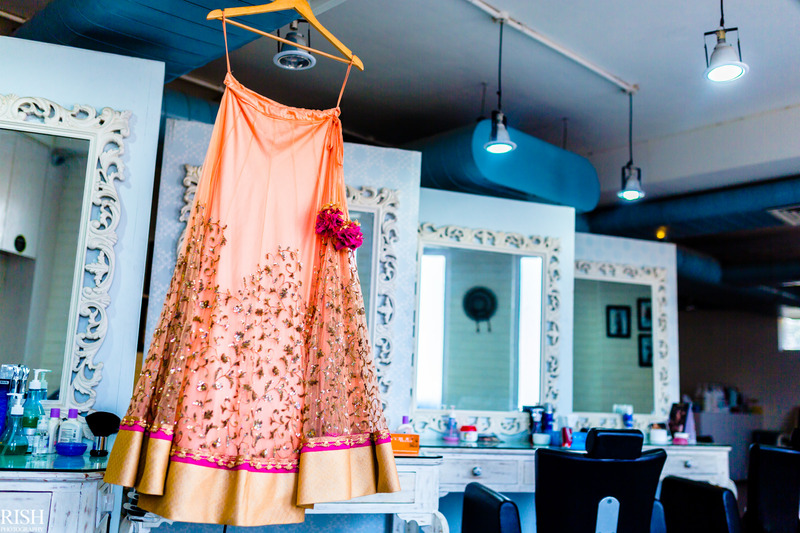 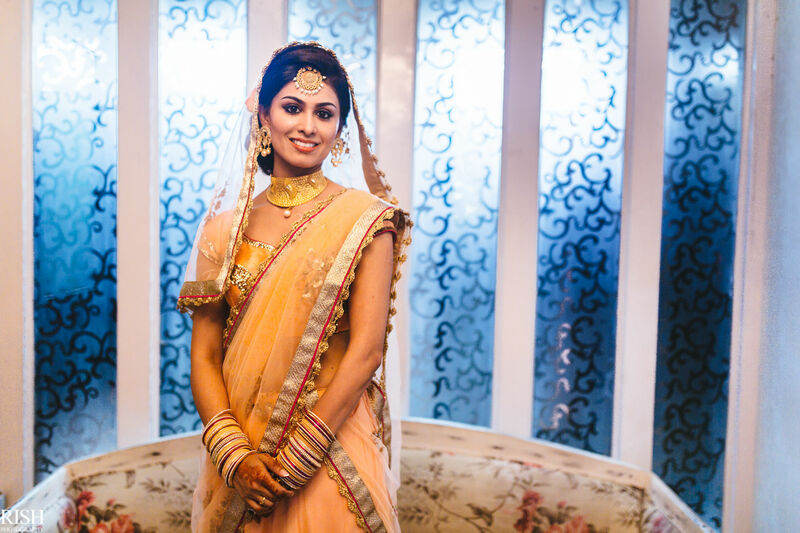 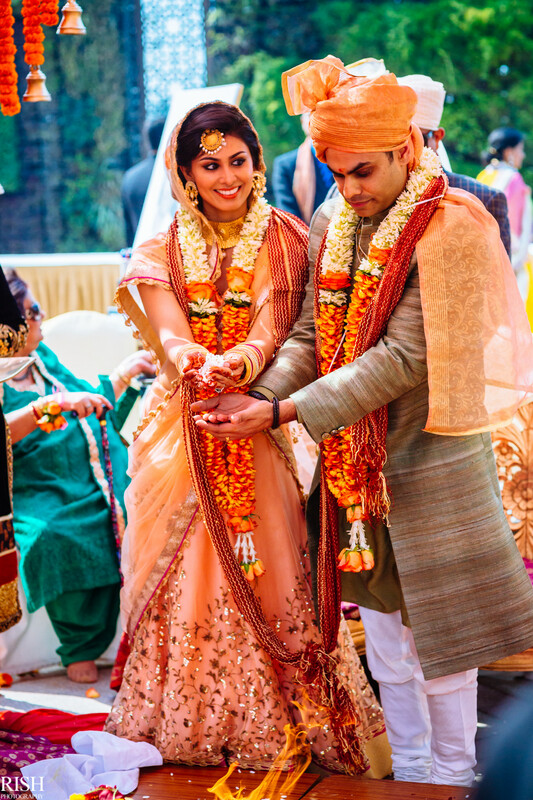 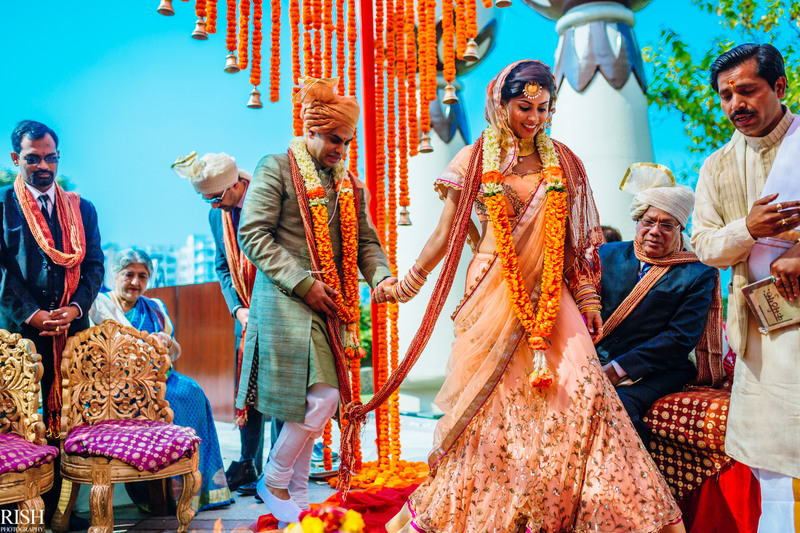 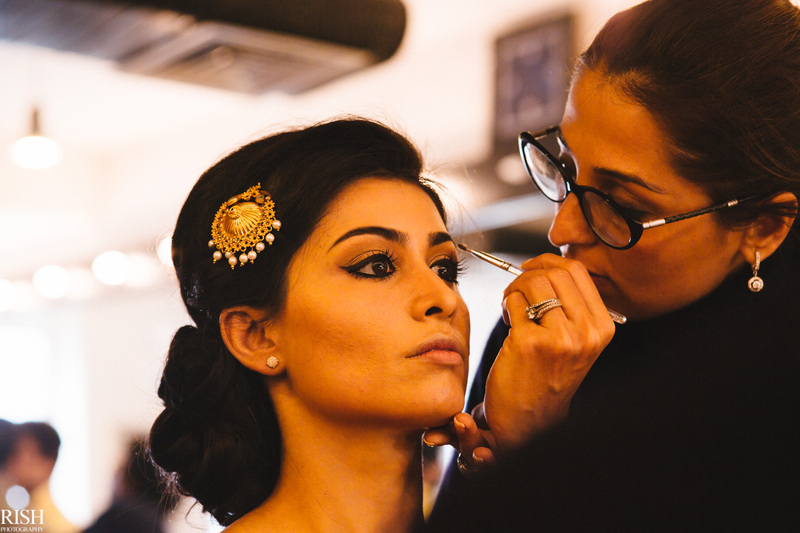 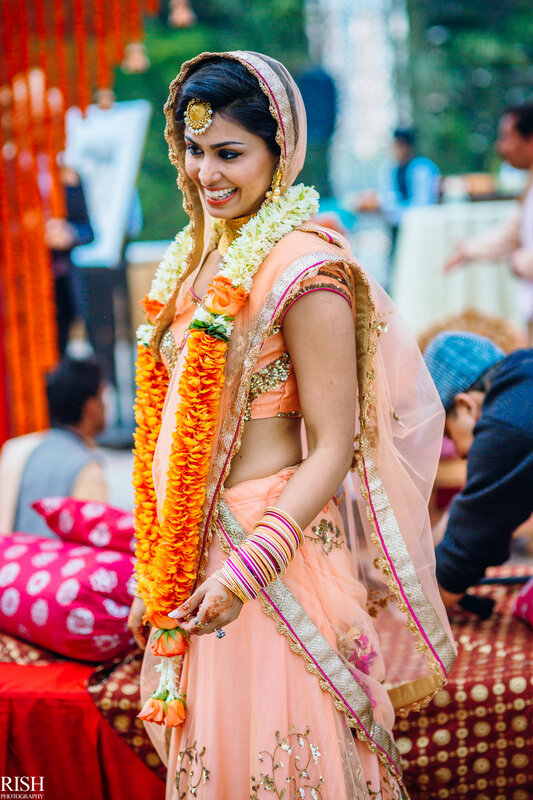 Let me take you to this picturesque wedding starting from the stunning lehenga designed by Anupriya Grover. 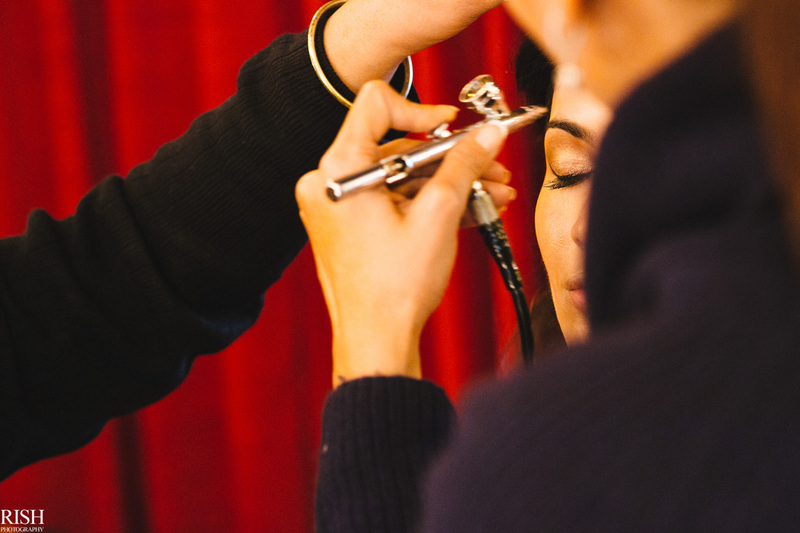 The day started early with Tricia getting ready. 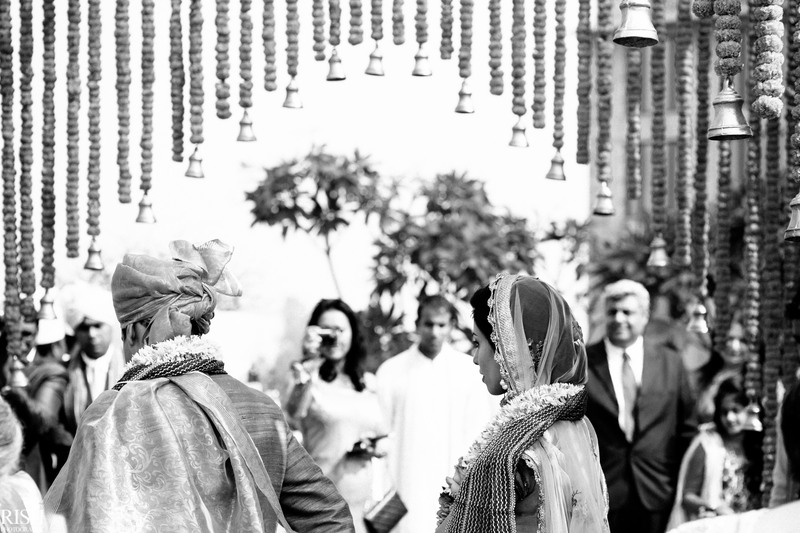 To the venue which was draped in shades of white and gold. 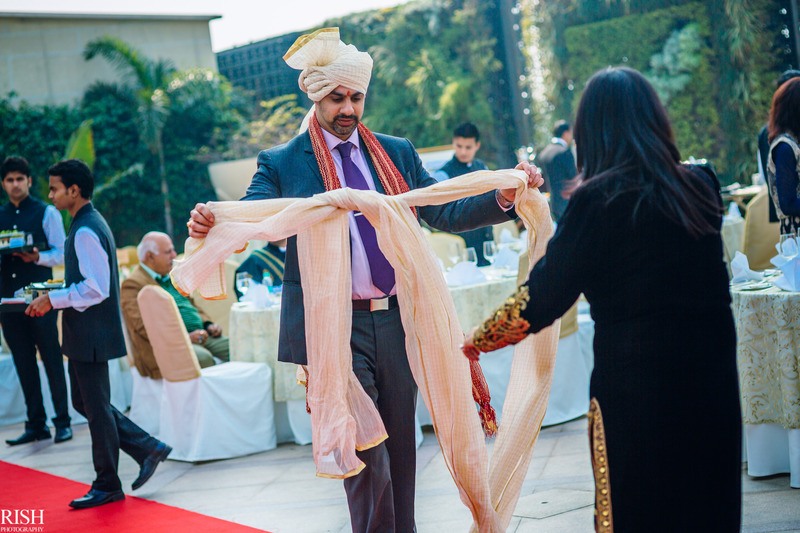 And it was time to start the wedding ceremony. 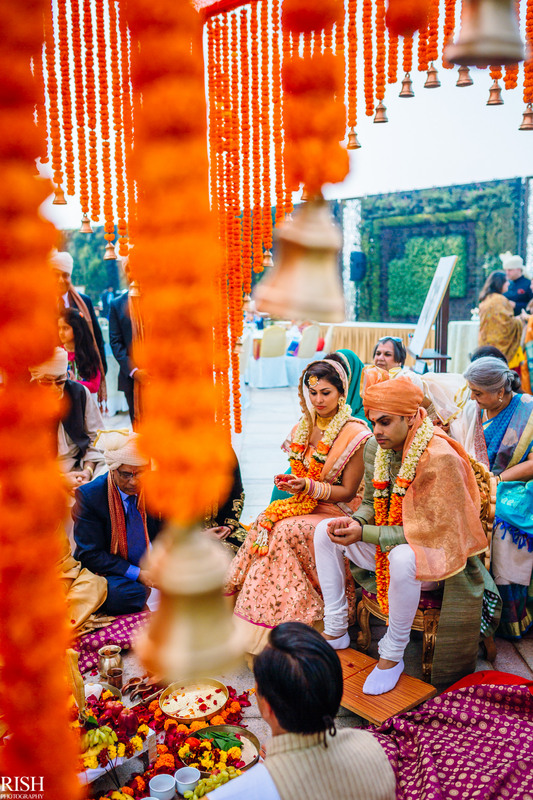 A glimpse of the stunningly elegant mandap decor! 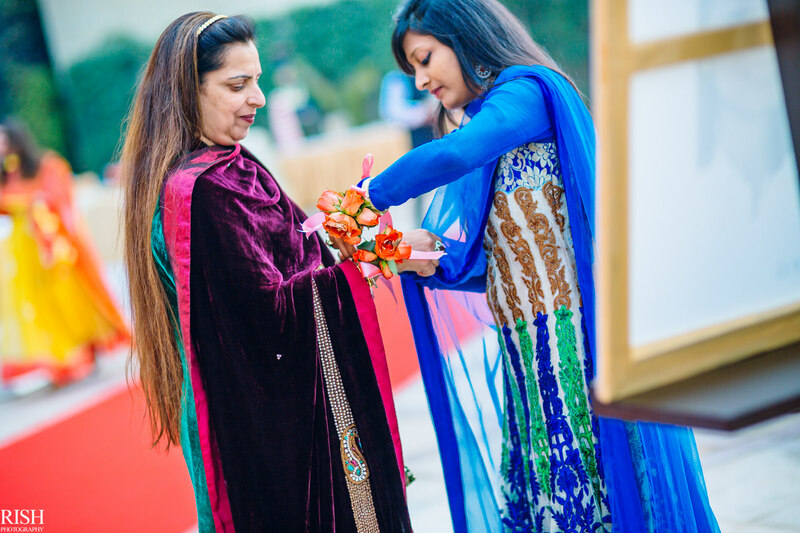 There were special corsages of roses for the bridesmaids too! 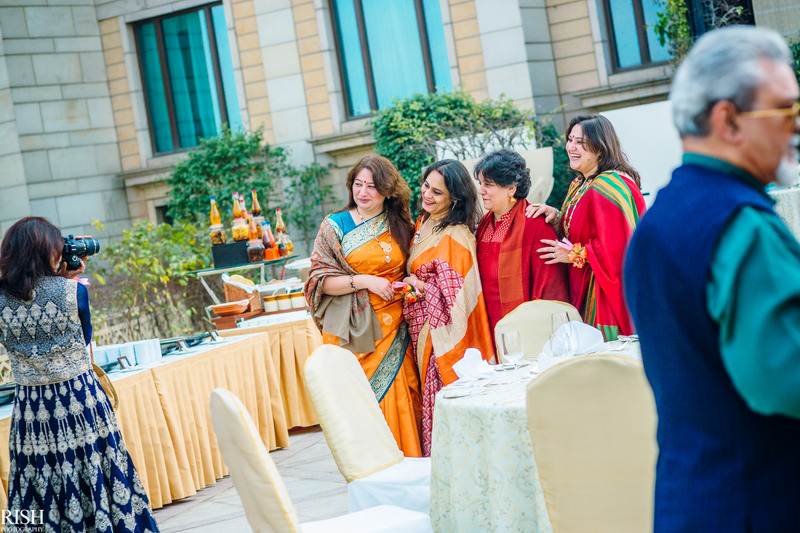 And Tricia and Hemant took blessings of the elders! 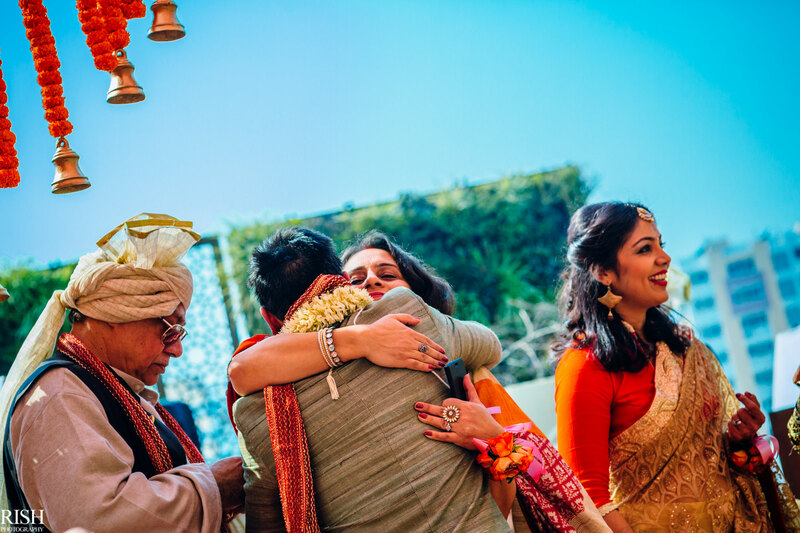 Meanwhile wishes came pouring in other ways as well!